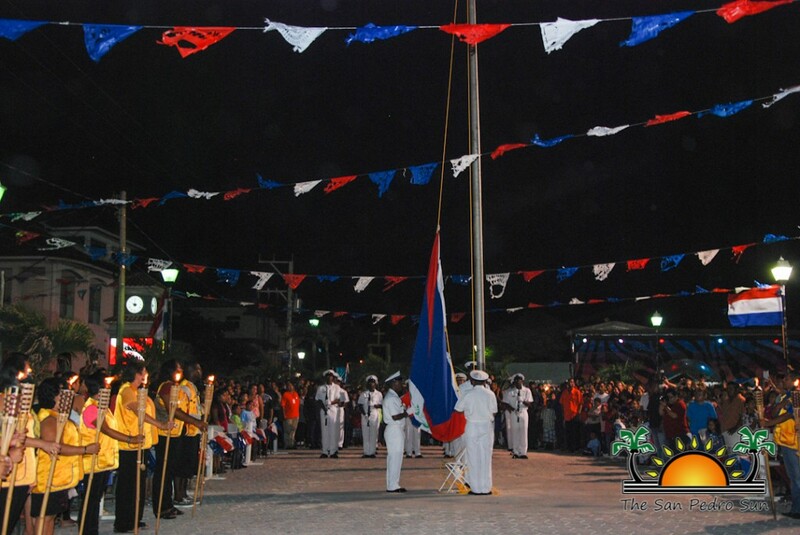 Not even an unscheduled nationwide power outage could stop residents from gathering at the Central Park for the Independence Eve Ceremony! 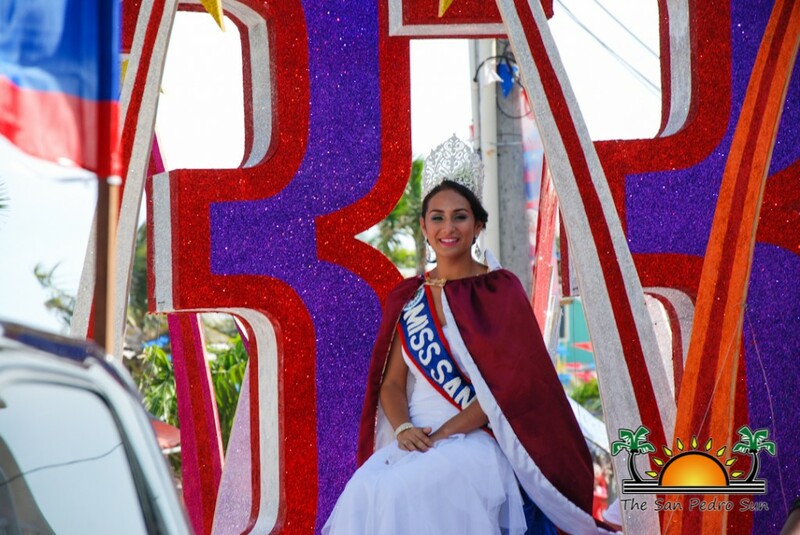 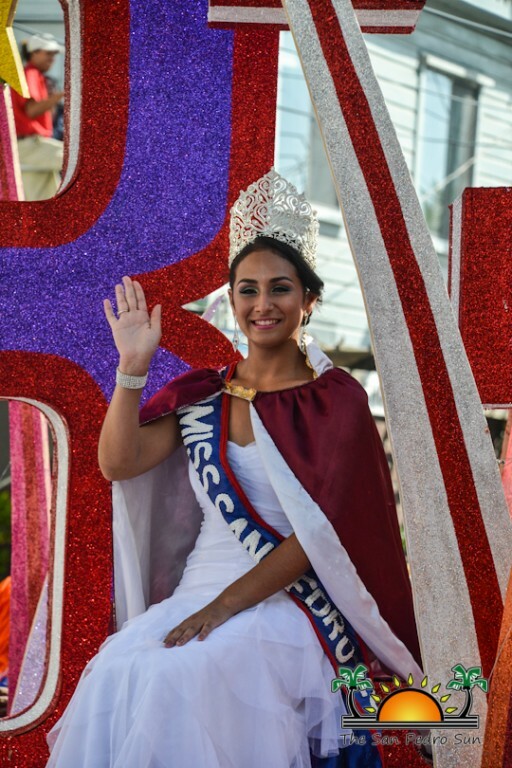 Shortly after 10:30PM, while protocol was being followed in the main stage, Deputy Mayor Gabriel “Gaby” Nuñez escorted Miss San Pedro 2014/2015 Michelle Nuñez in a small procession led by The San Pedro Cultural Marching Band. 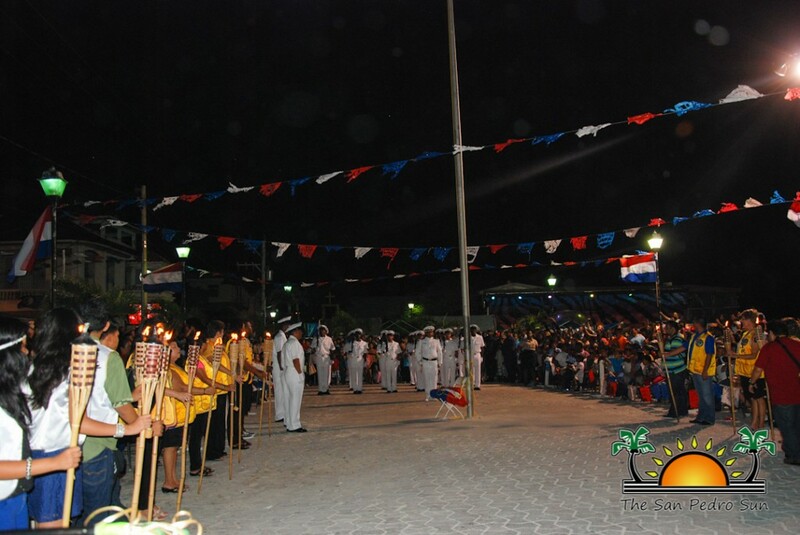 The procession walked to the San Pedro Town Council Building where it joined with the torch bearers in returning to Central Park minutes before midnight. 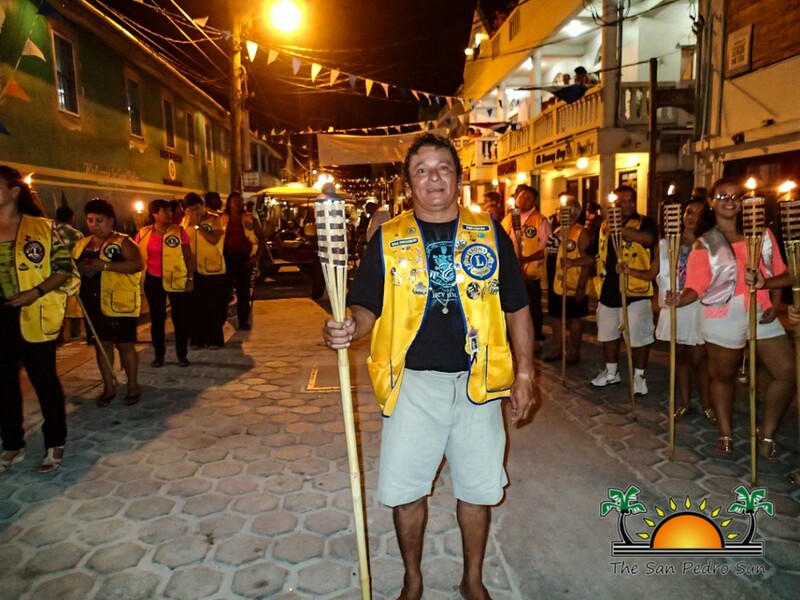 This year’s torch bearers comprised of the San Pedro Lions Club and the San Pedro Leos Club. After a short invocation, Mayor of San Pedro Daniel Guerrero delivered the welcome address. 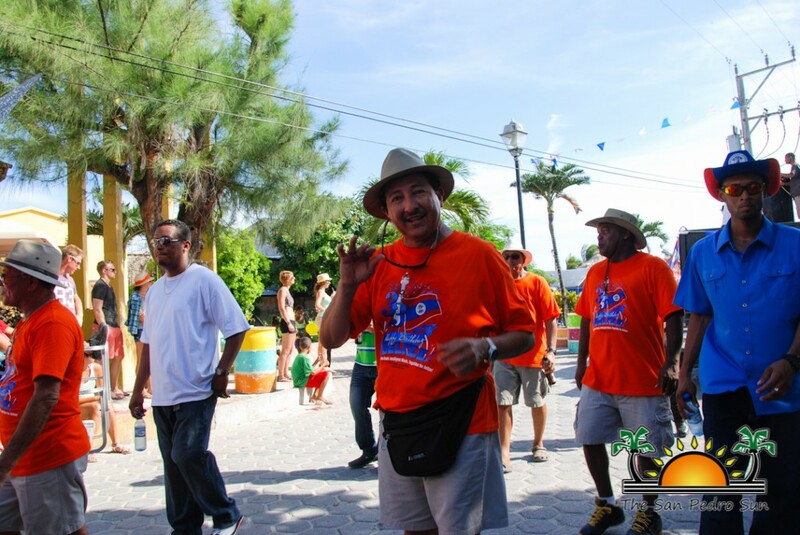 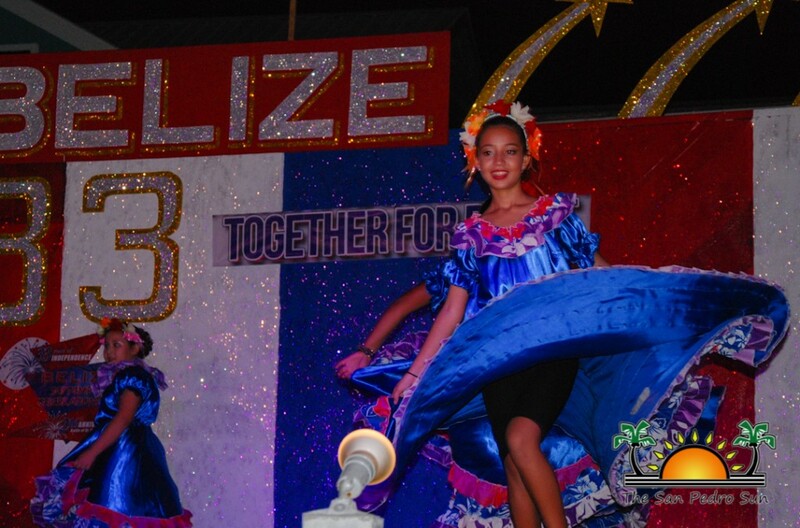 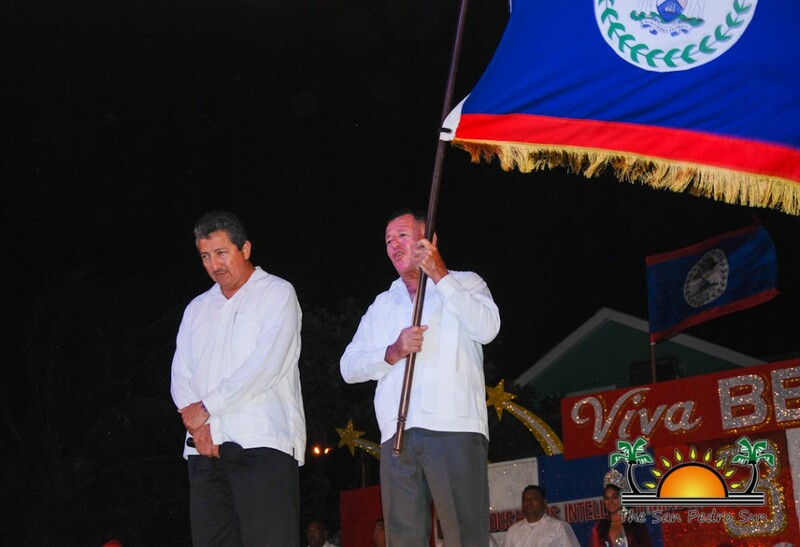 Mayor Guerrero spoke on the significance of Belize’s Independence as it defines the country and its people. 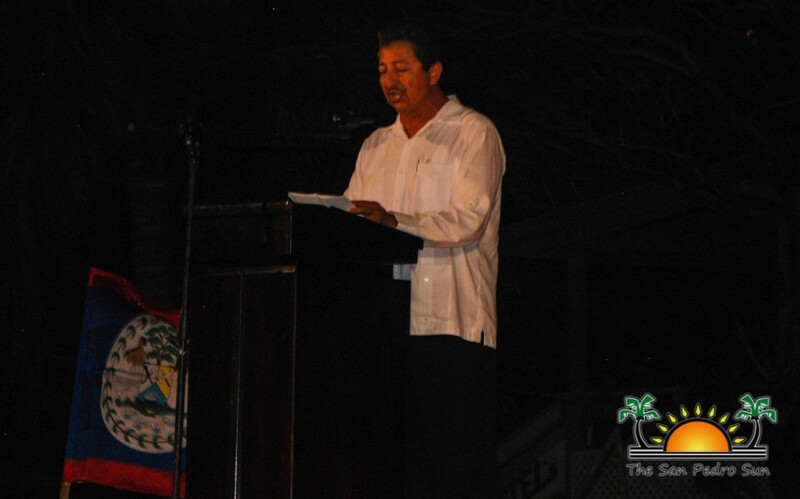 He also highlighted the accomplishments that the San Pedro Town Council has achieved in the past year. Next to take the podium was Area Representative and Minister of Tourism, Culture and Civil Aviation, Honorable Manuel Heredia Jr. He spoke on the central government’s commitment to continue to improve the lives of all Belizeans. 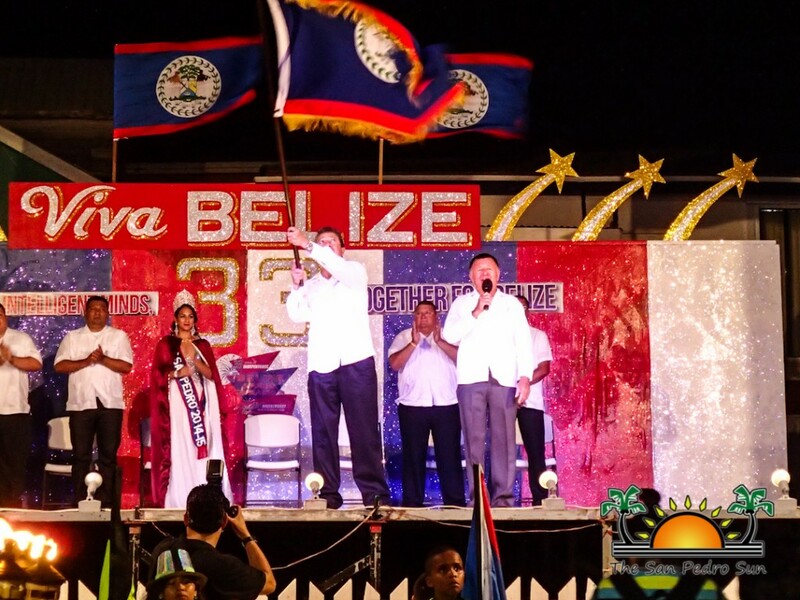 Heredia also stated that Independence Day commemorates another year of Belize moving further in development and investment. 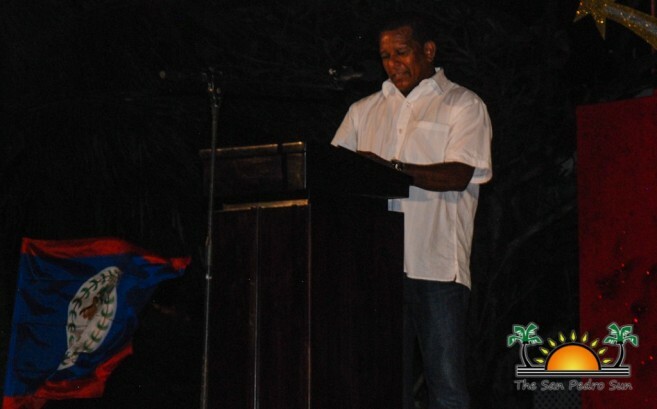 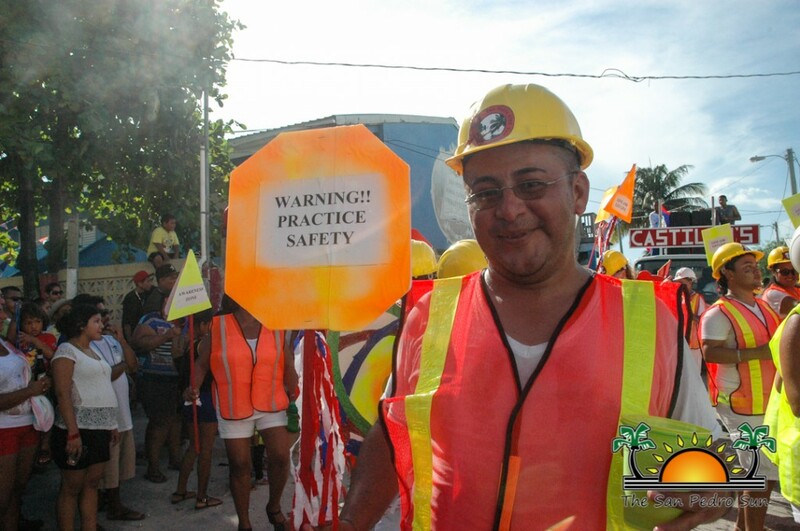 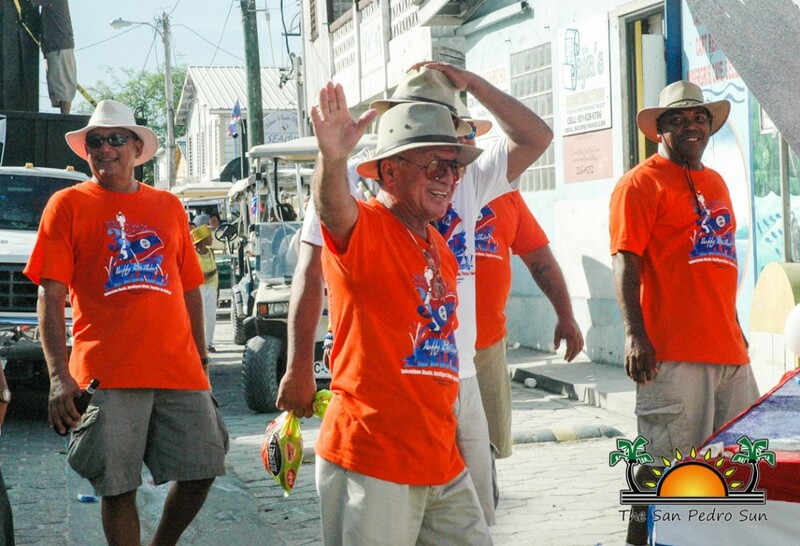 He ended by urging the Belizean community to work together towards a brighter future. 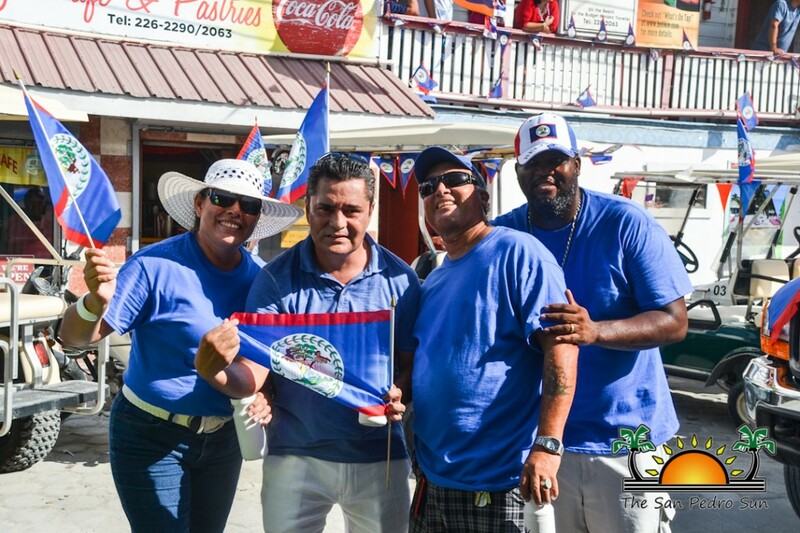 Also speaking at the official ceremonies was Belize Rural South (BRS) People’s United Party (PUP) Standard Bearer, Elito Arceo. 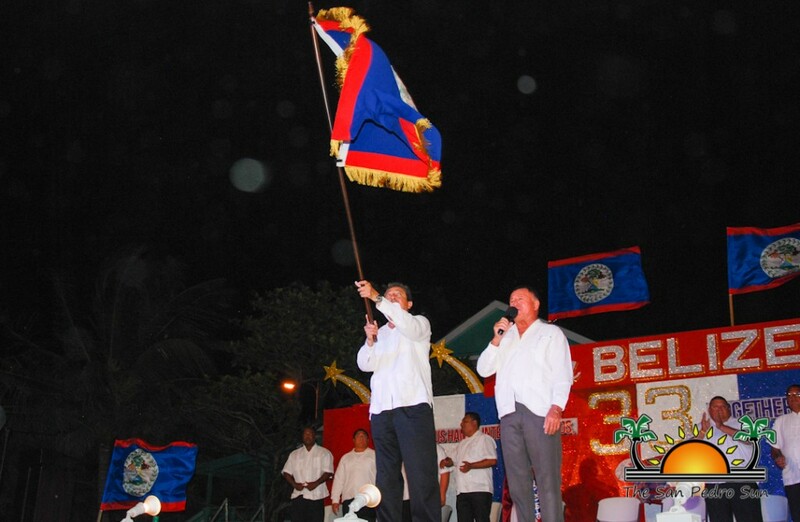 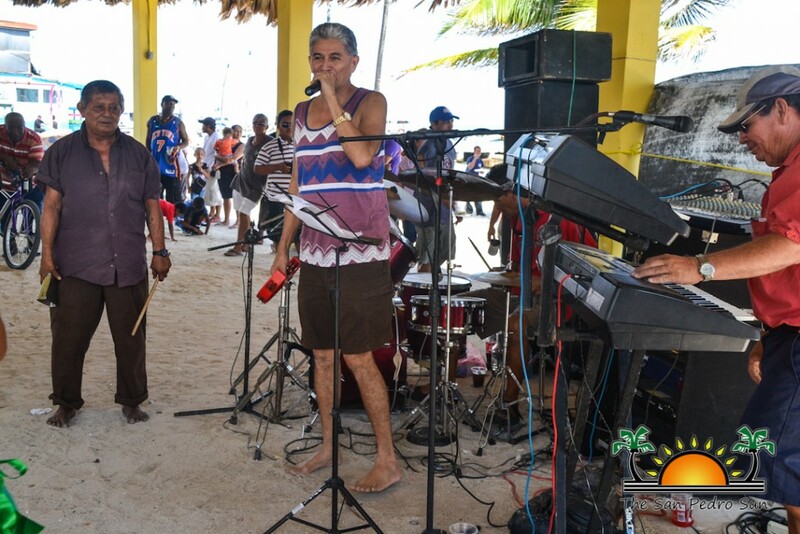 He spoke on the importance that the PUP played in gaining Belize’s Independence. 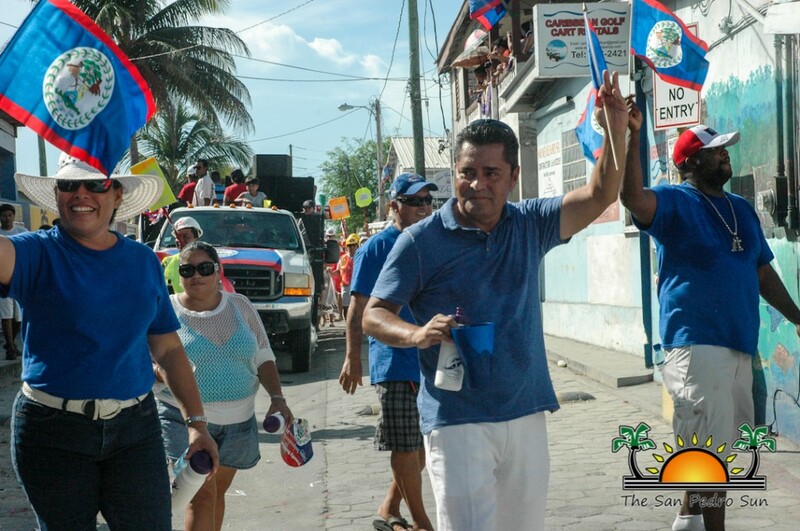 Arceo elaborated on the necessity of honoring the Father of Our Nation, Right Honorable George Cadle Price and the need to reassess Belize’s government body. 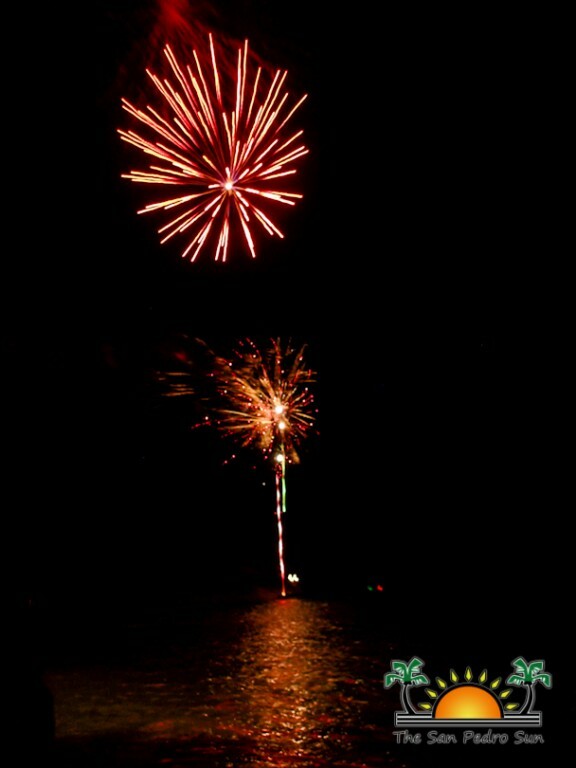 He ended by wishing everyone a Happy Independence Day. 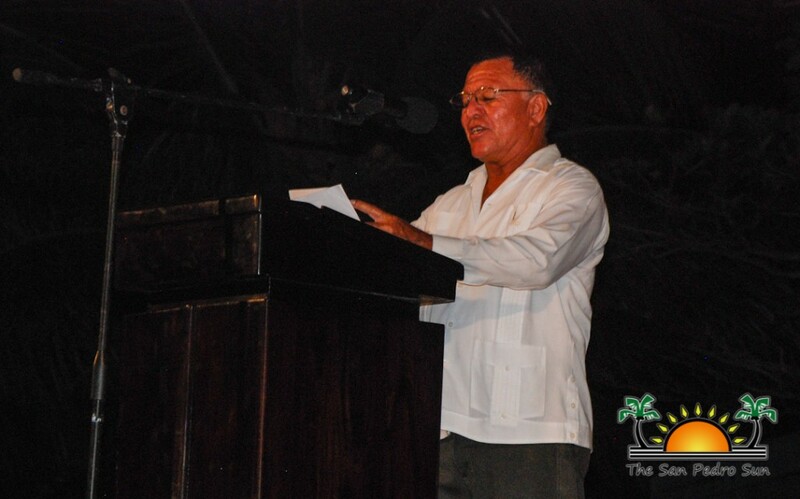 Councilor Kenrick Brackett delivered a short Vote of Thanks right after Acreo’s speech. 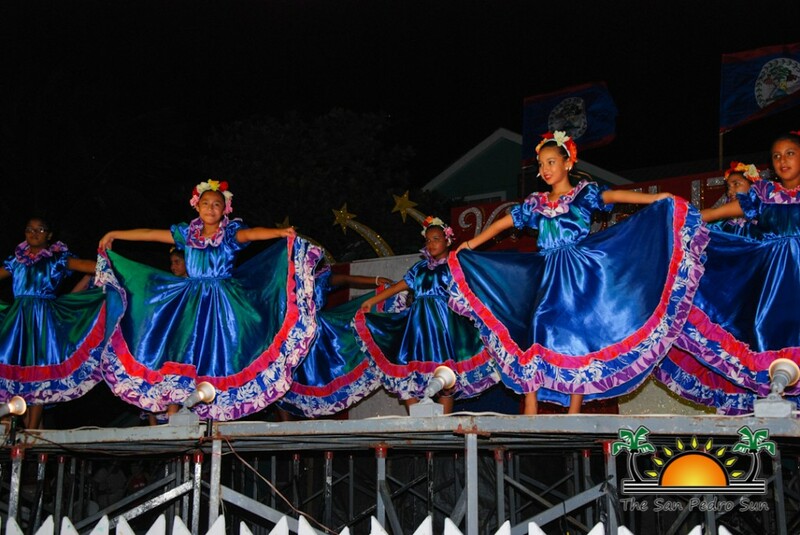 With formalities over, the crowd was treated to four dance presentations from the San Pedro Dance Academy, while the torch bearers made their way to Central Park. 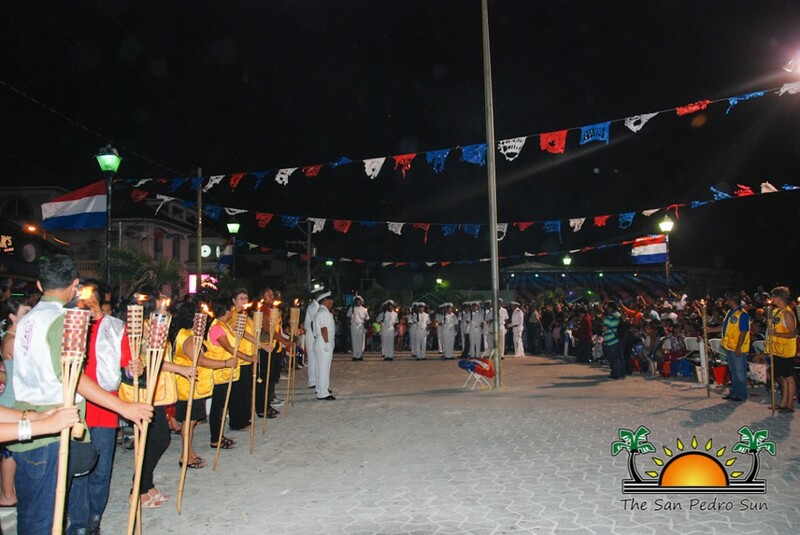 After the entertainment and once the torch bearers were in place, preparations started for the midnight Flag Raising Ceremony. 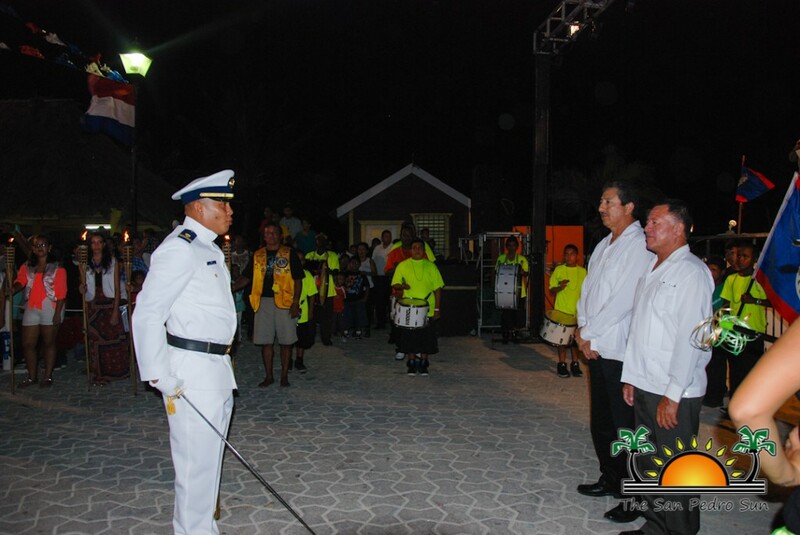 Members of the Belize National Coast Guard lined up for the Inspection of the Guard conducted by Mayor Guerrero and Heredia. 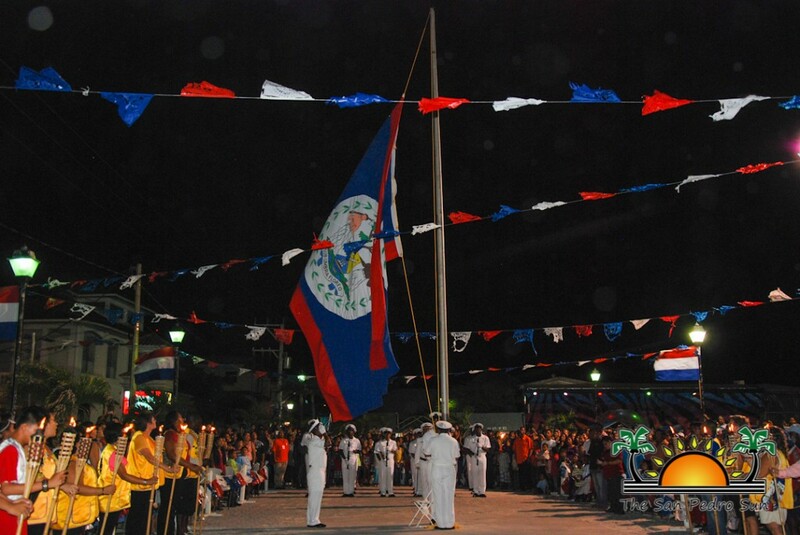 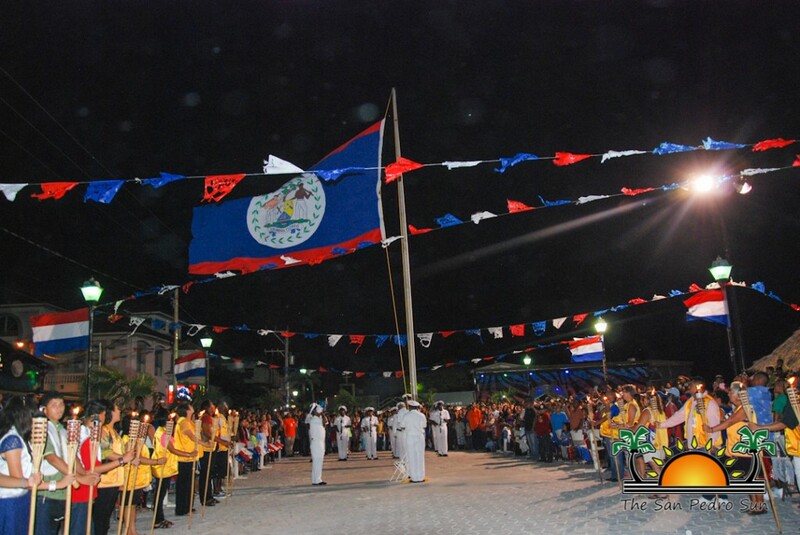 Three minutes before midnight, the singing of the Belize National Anthem began as the National Flag was patriotically raised. 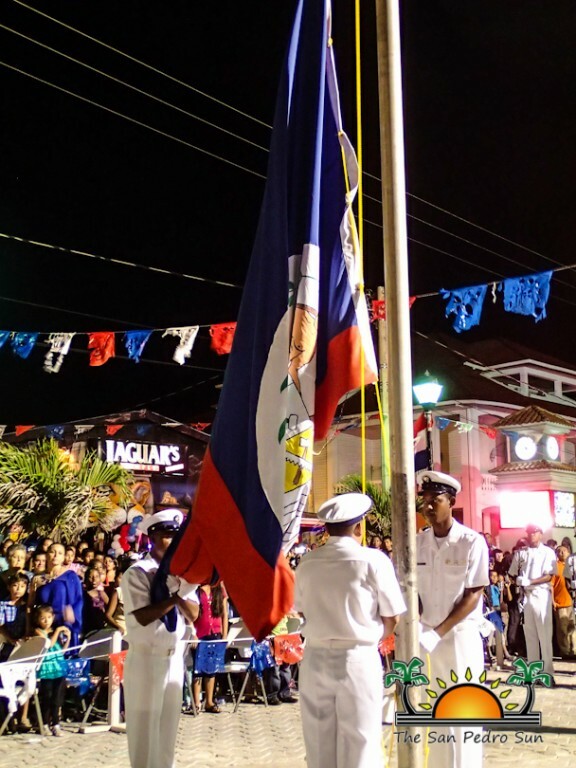 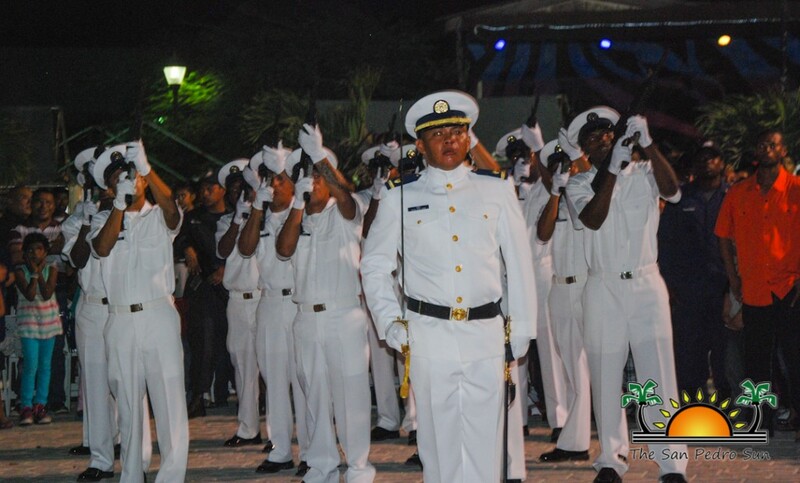 At midnight, the Coast Guard fired the traditional 21 Gun Salute while Mayor Guerrero and Heredia conducted the Shout of Independence (Grito de Independencia). 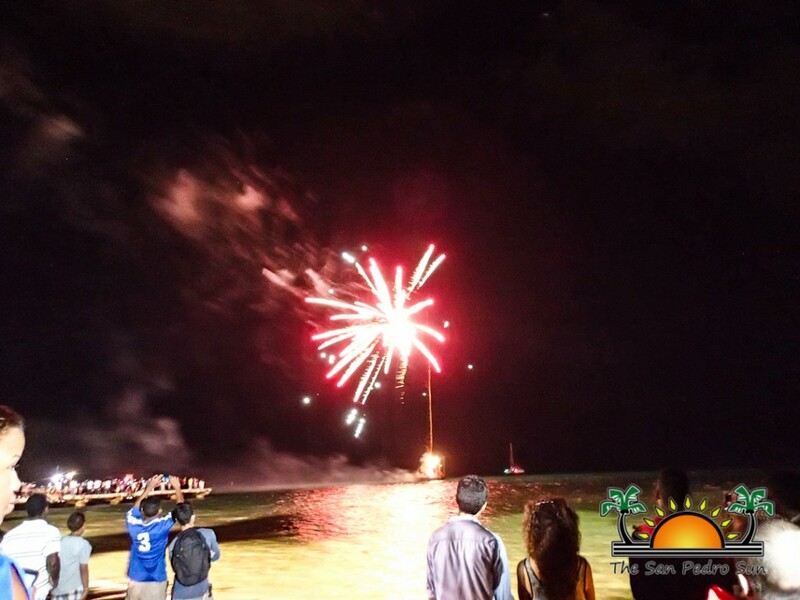 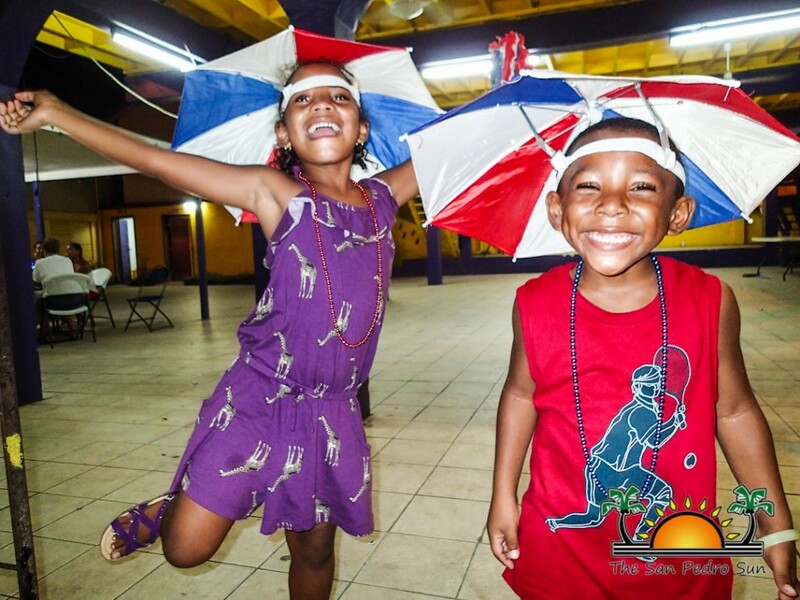 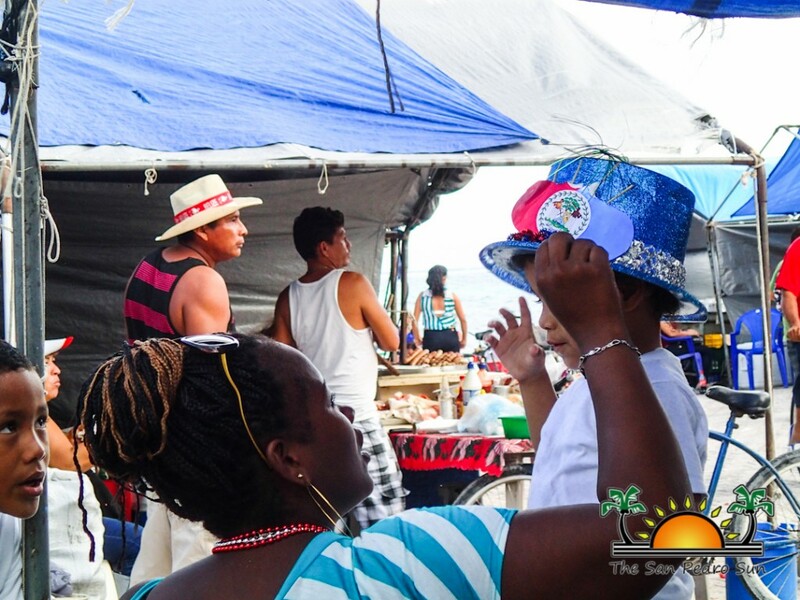 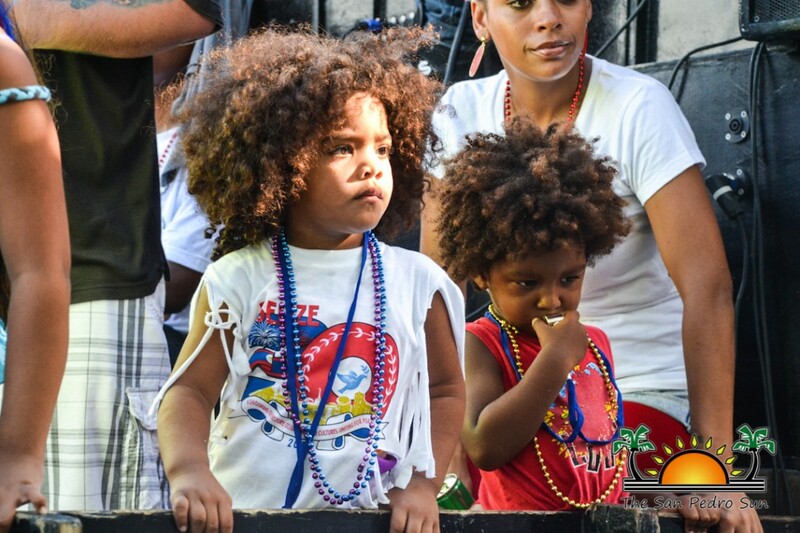 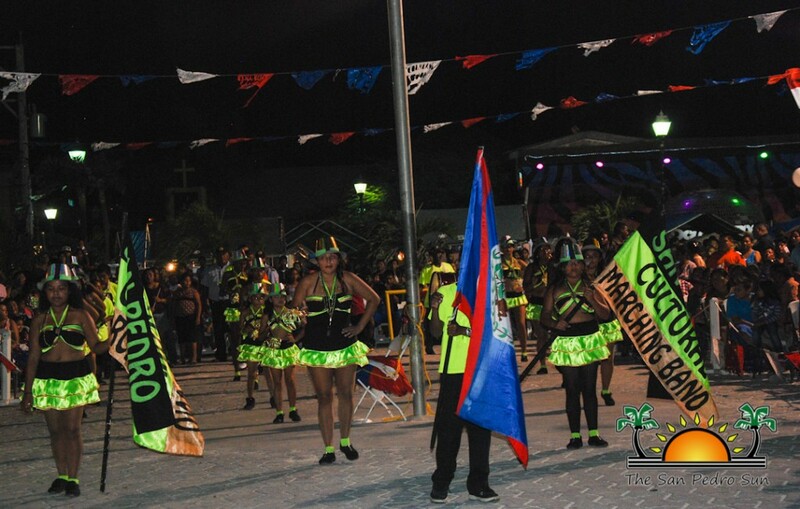 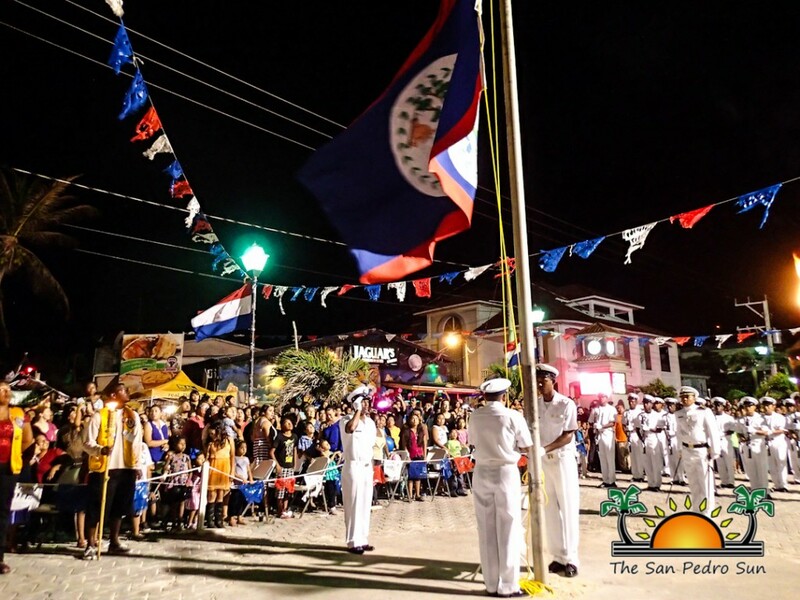 A fabulous fireworks display followed, with celebrations continuing into the wee hours of the morning as Belizeans rejoiced in their Independence. 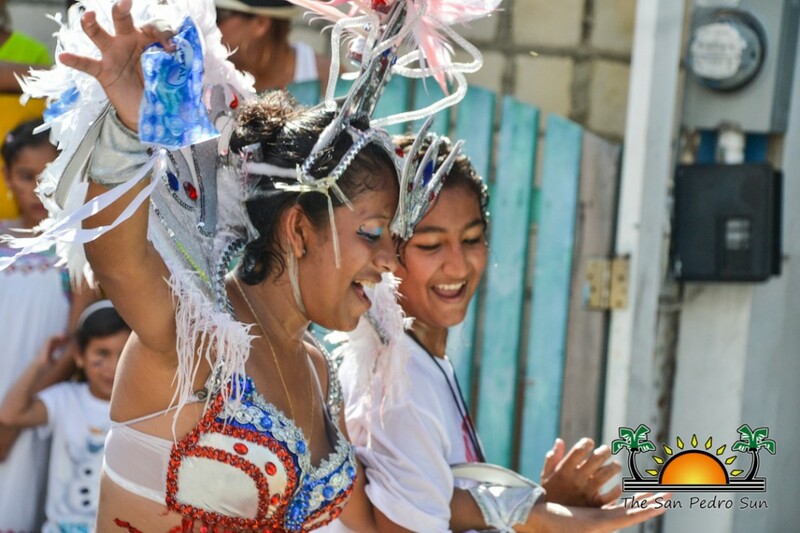 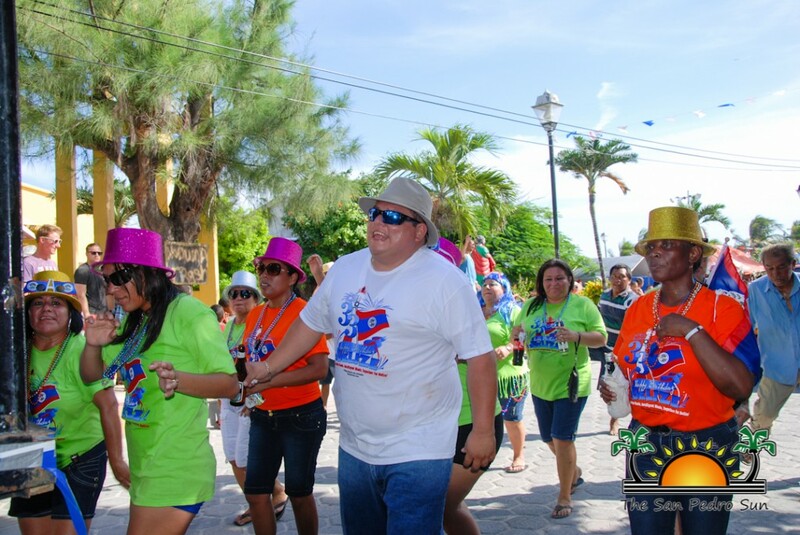 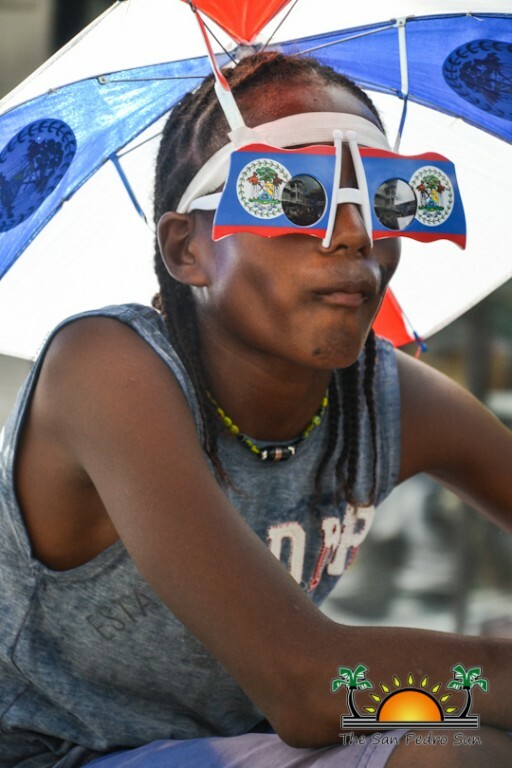 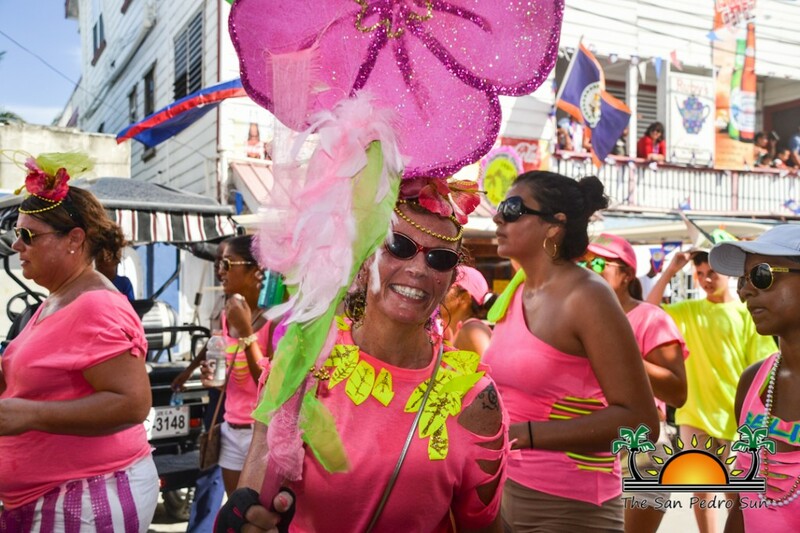 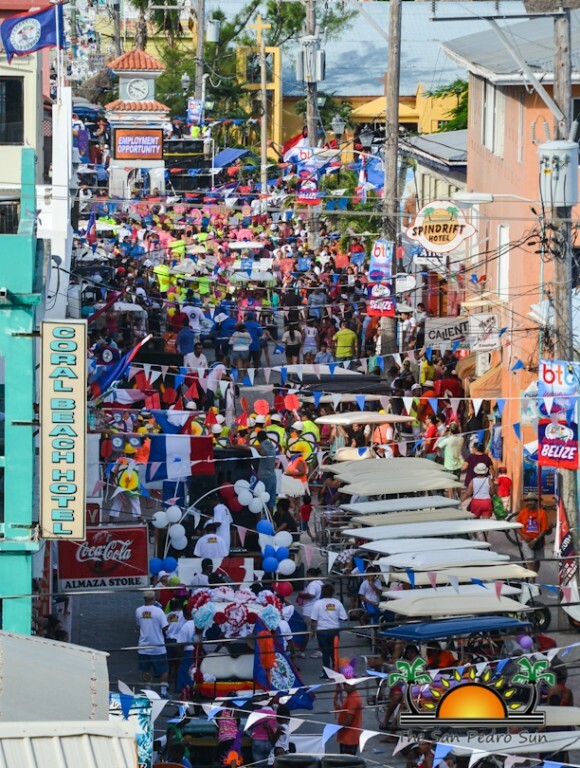 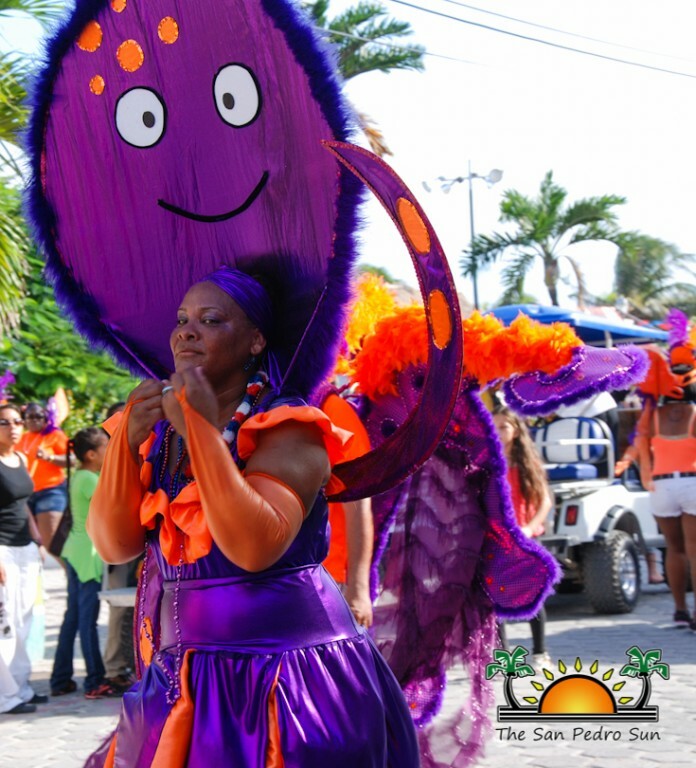 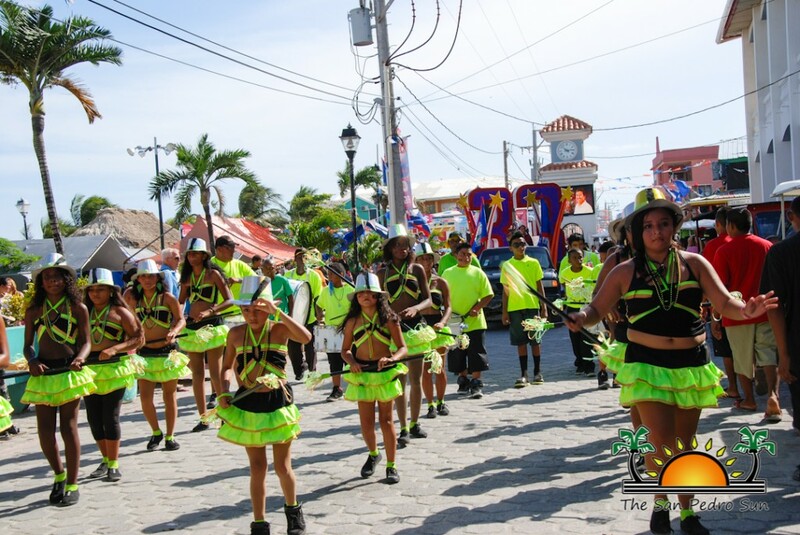 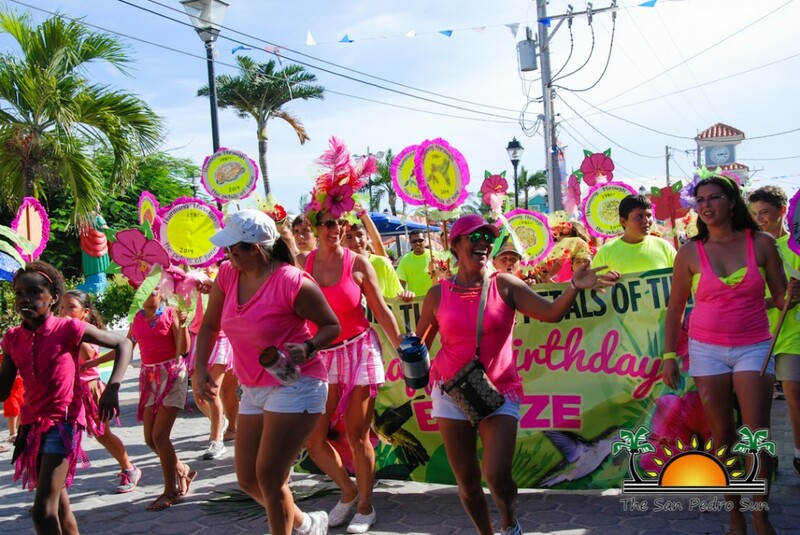 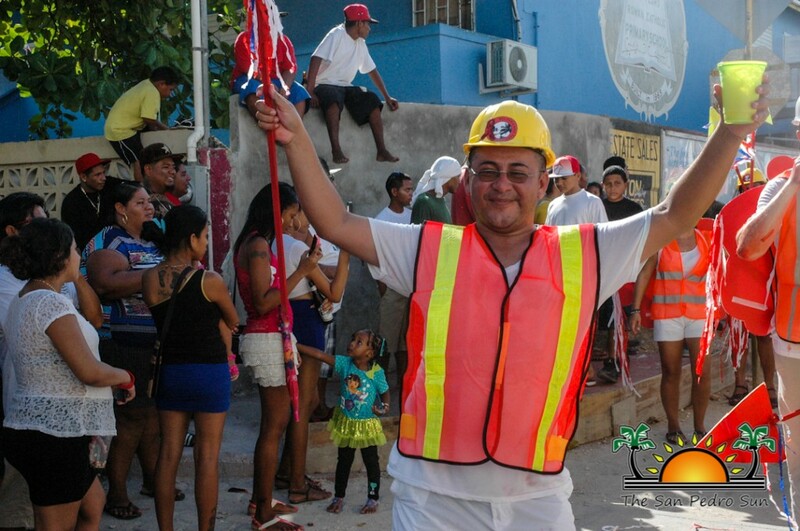 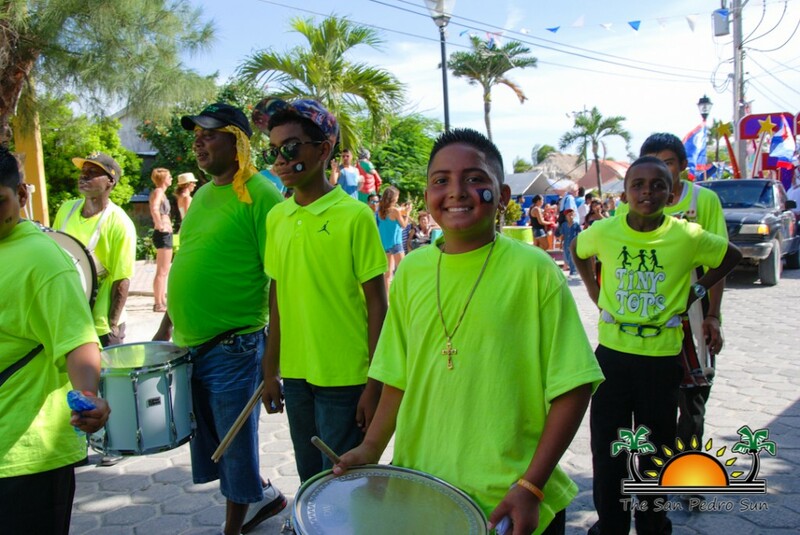 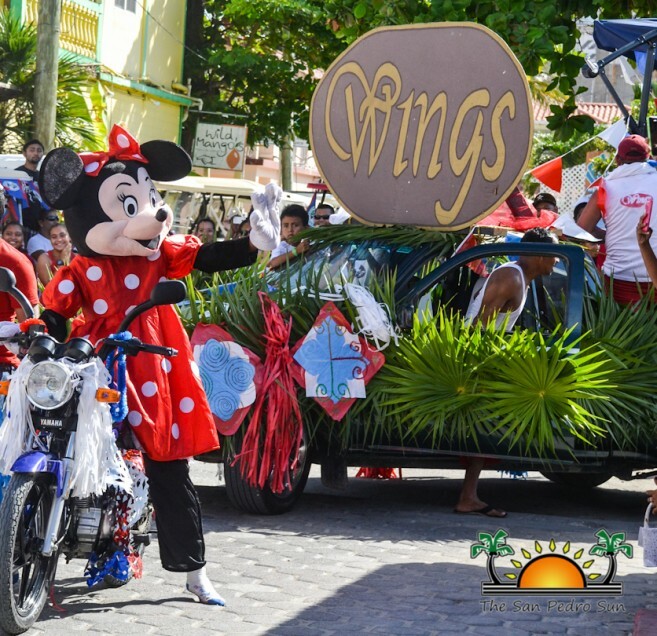 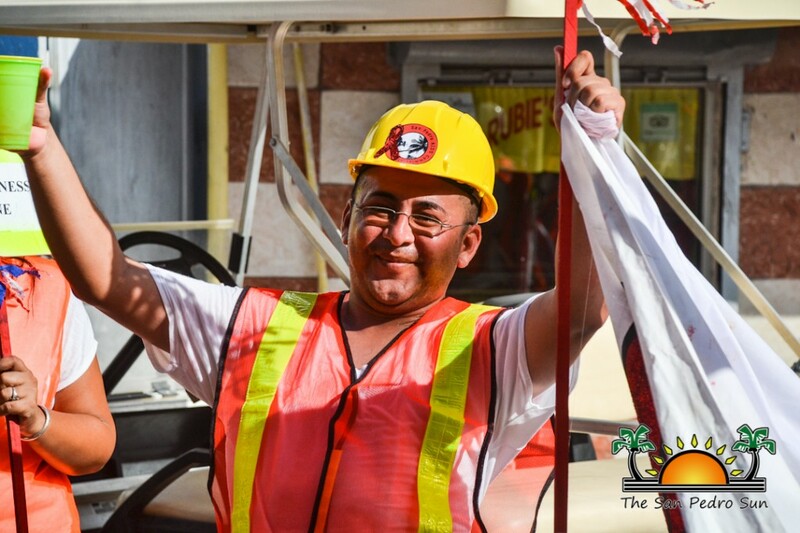 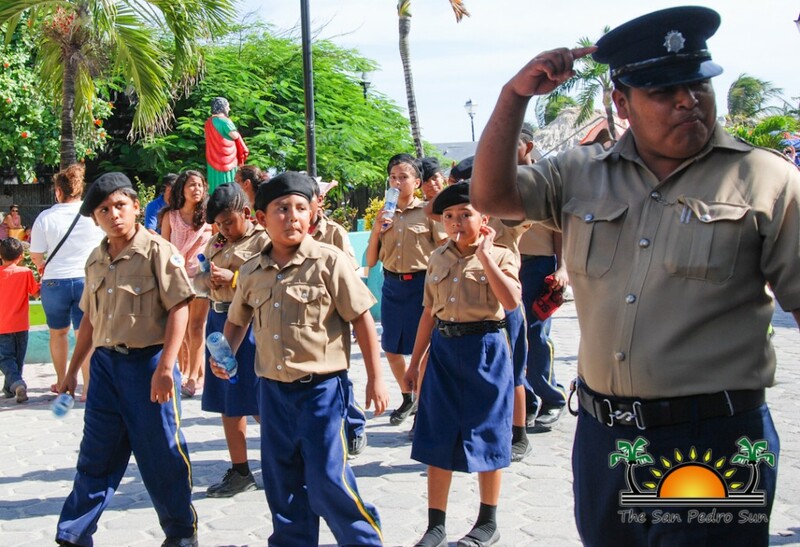 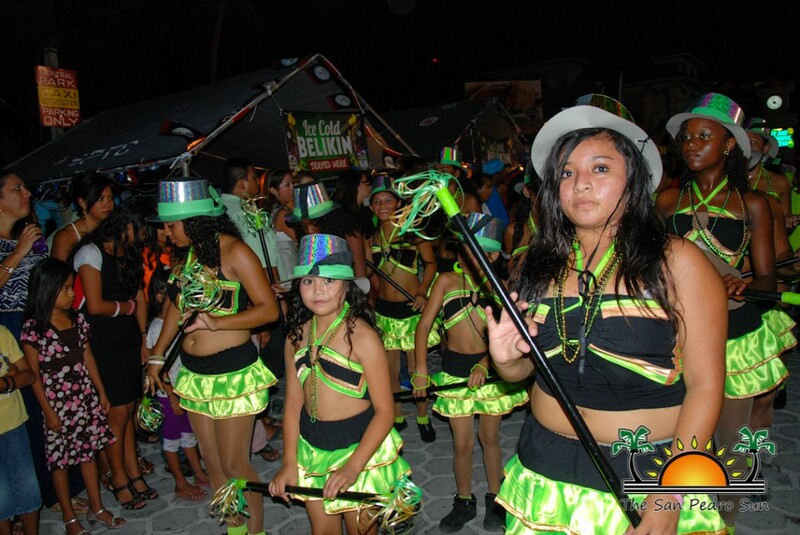 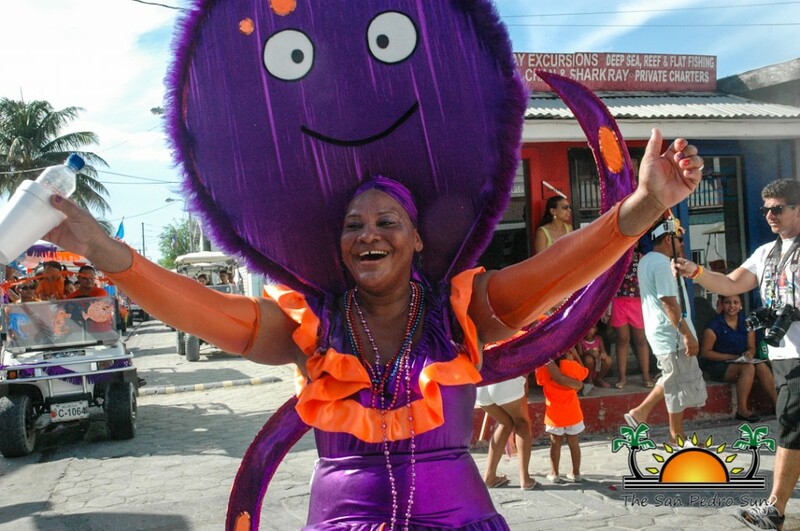 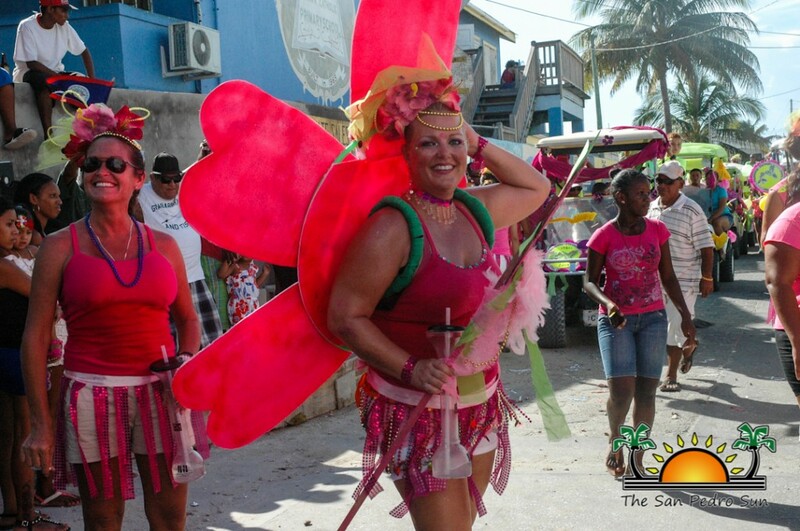 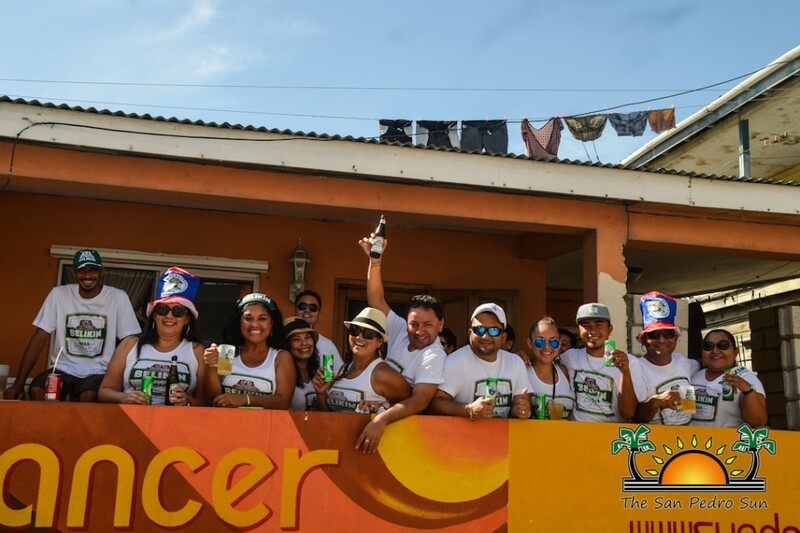 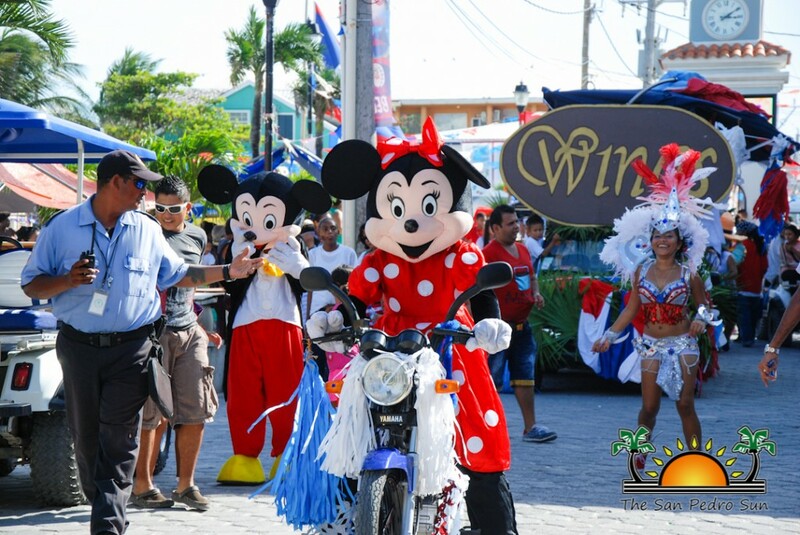 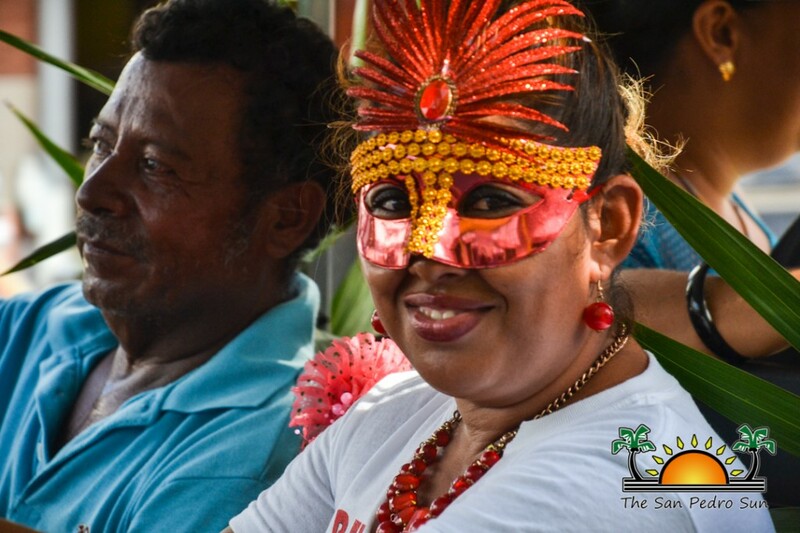 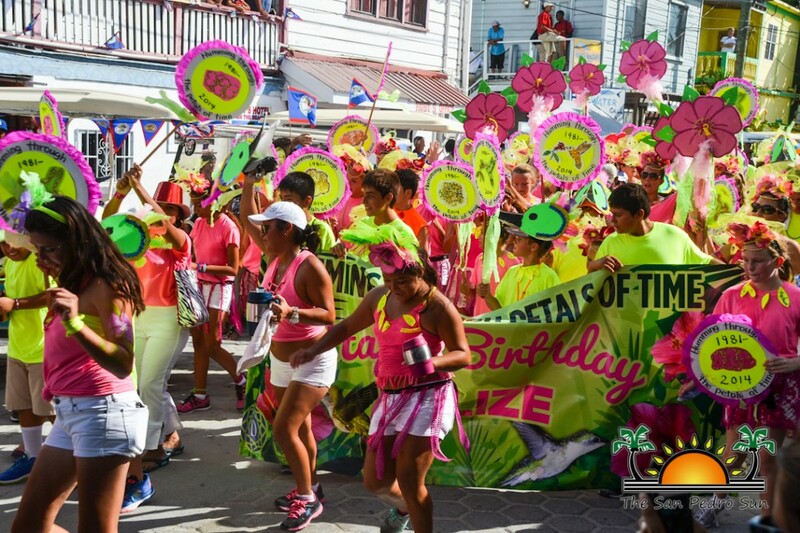 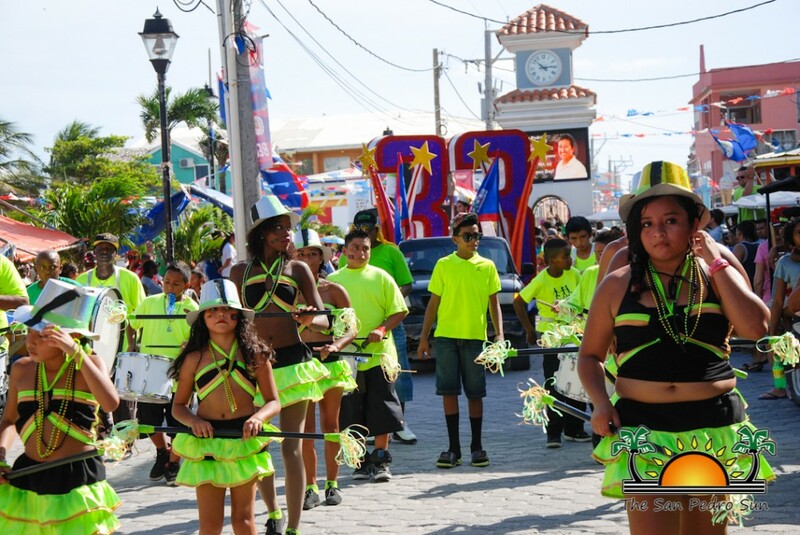 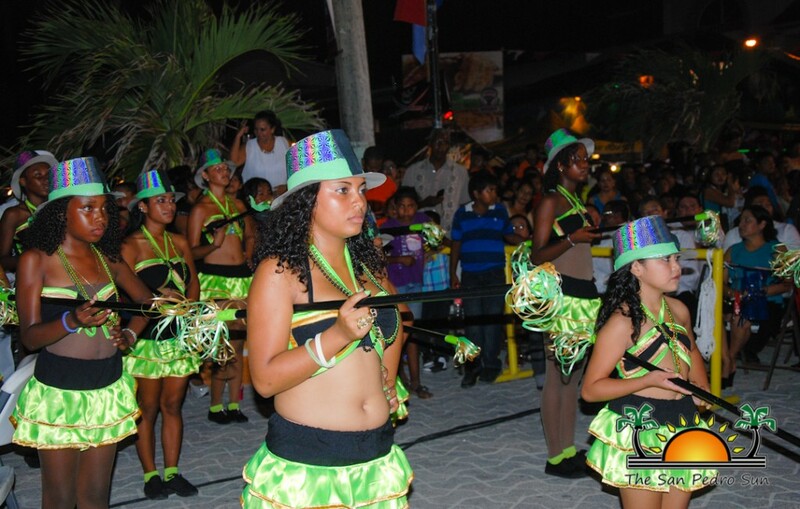 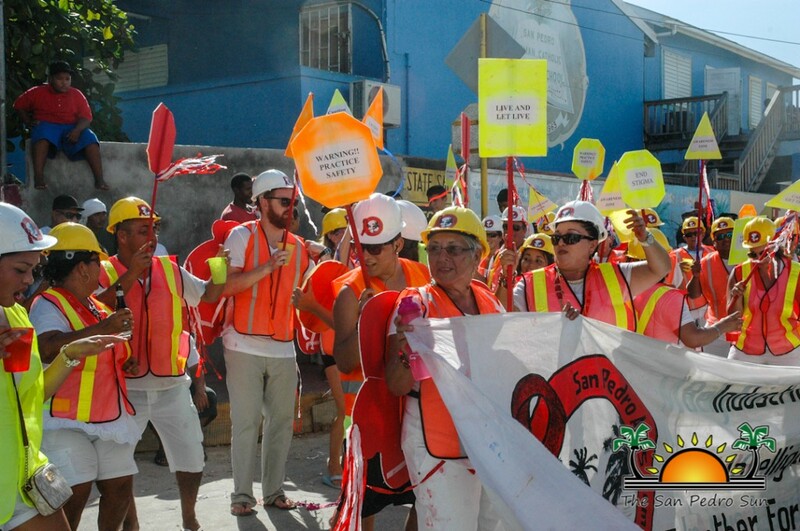 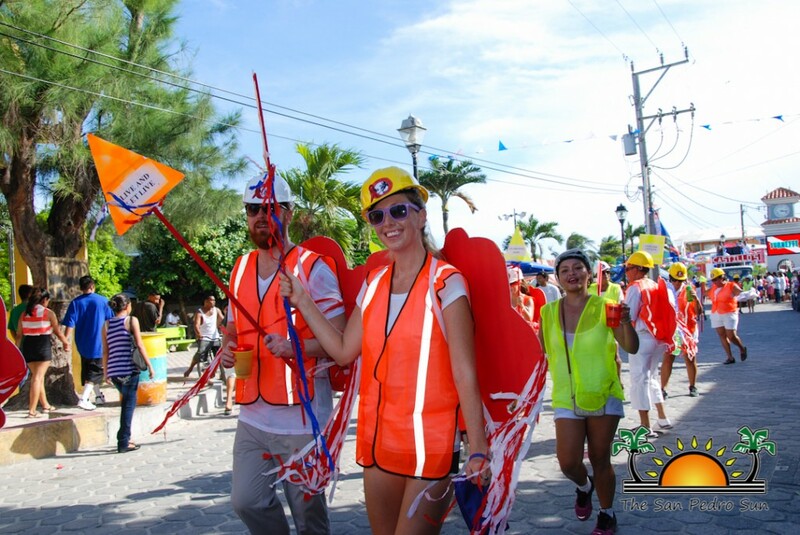 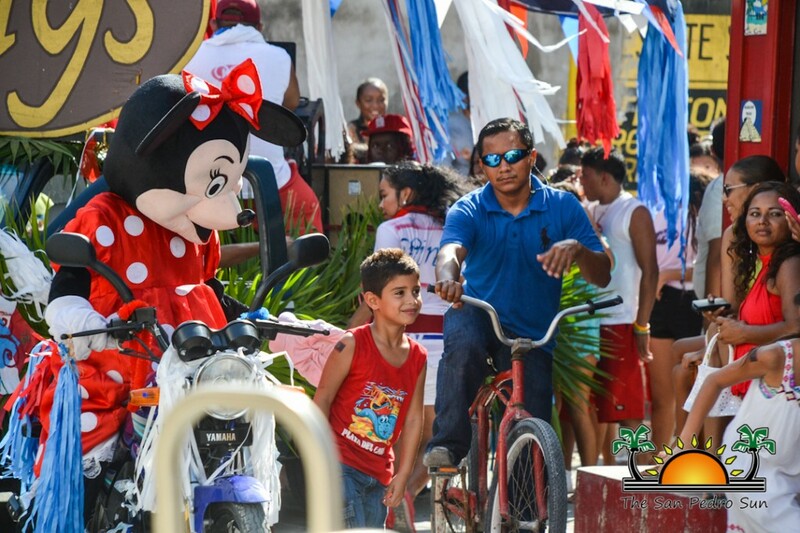 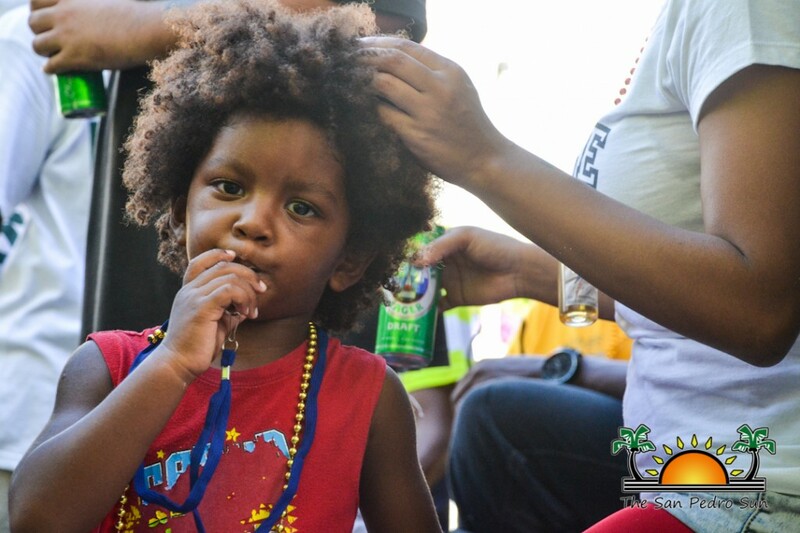 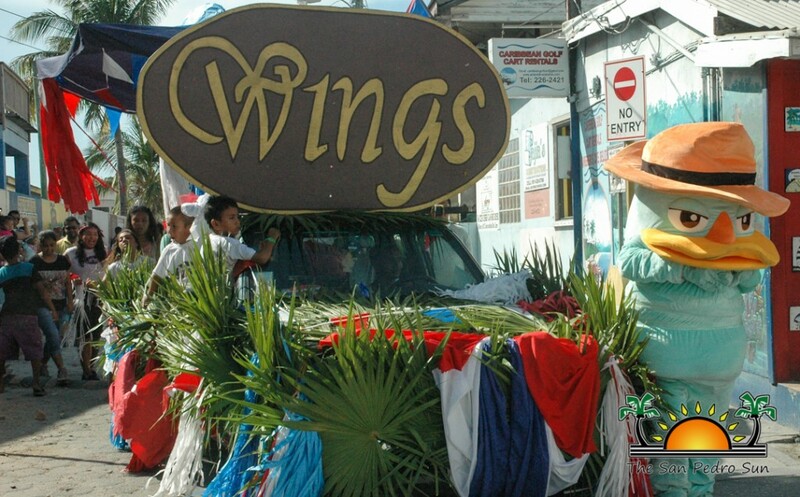 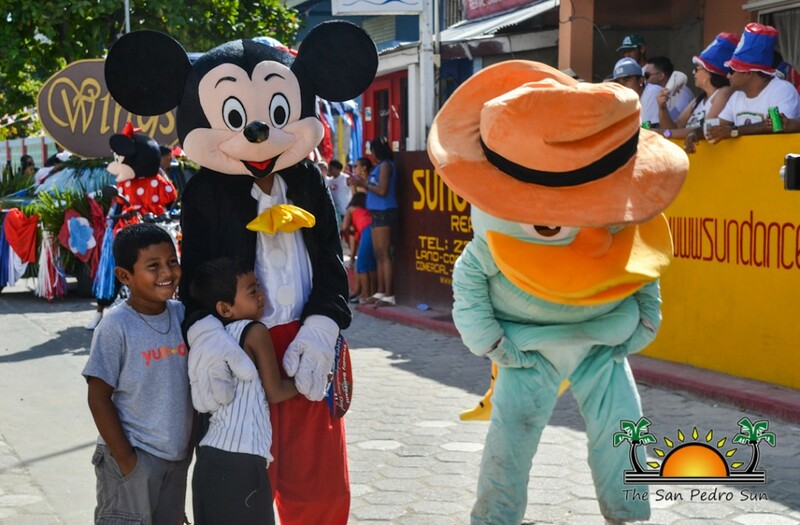 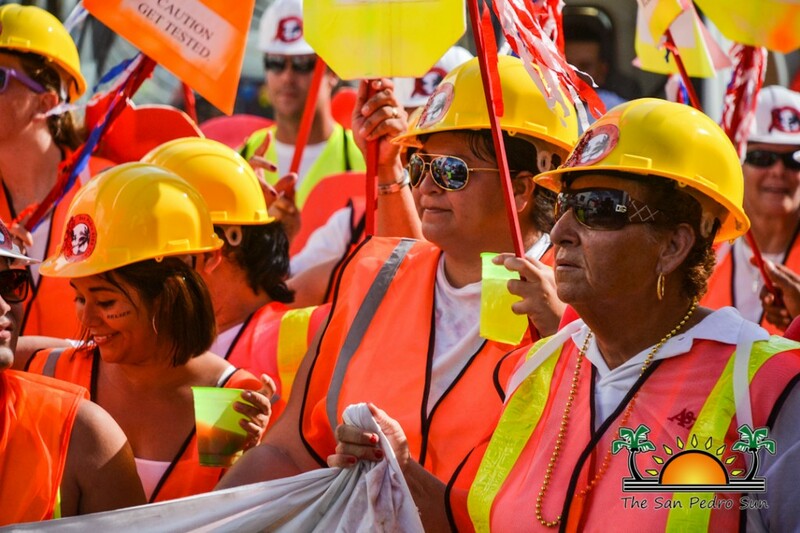 The Independence Celebrations continued on Sunday, August 21st with a joyous parade through the main streets of San Pedro. 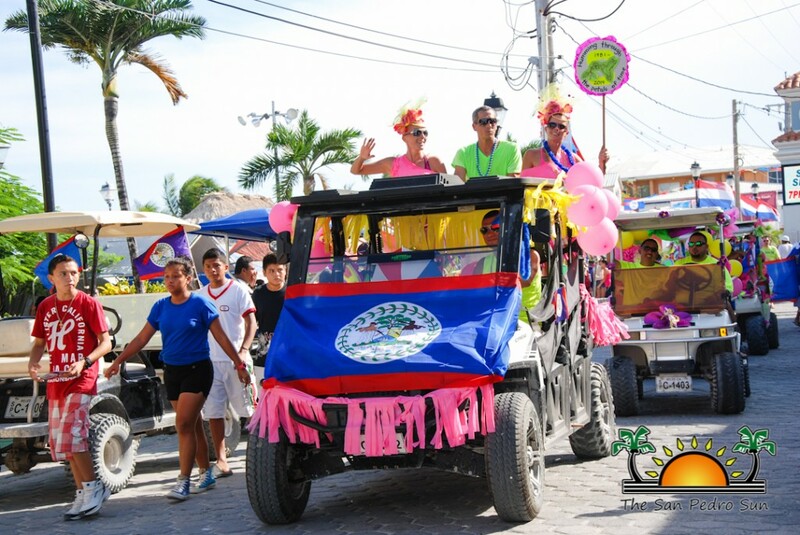 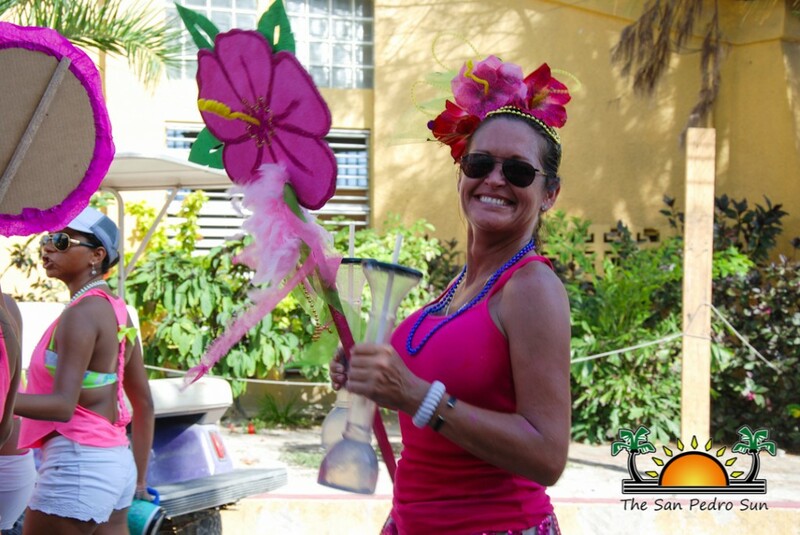 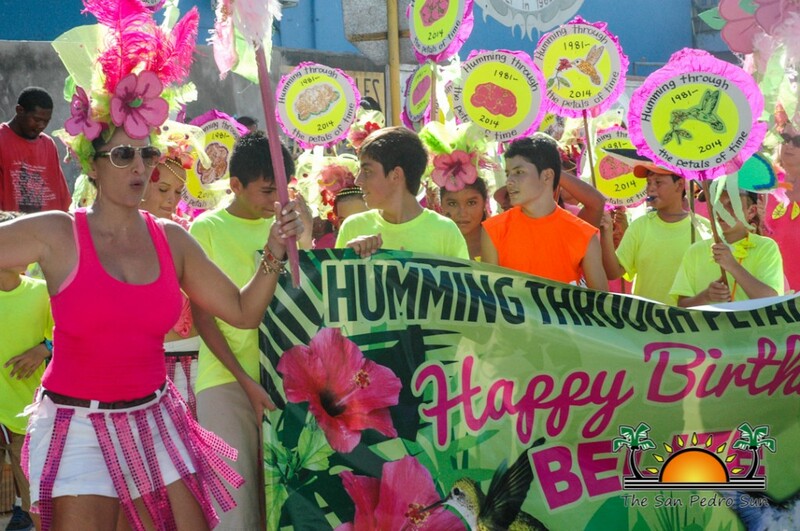 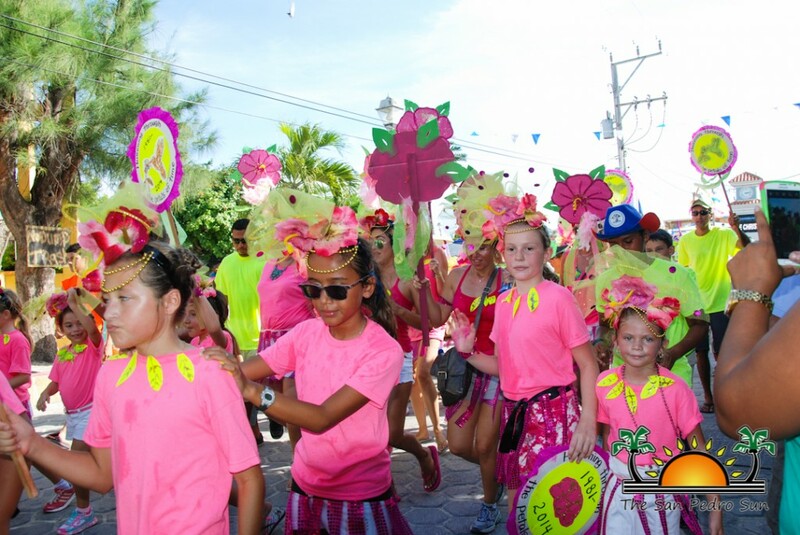 The parade commenced shortly after 1:30PM with a festival of colors and music that started from Boca del Rio Drive and ended in Central Park. 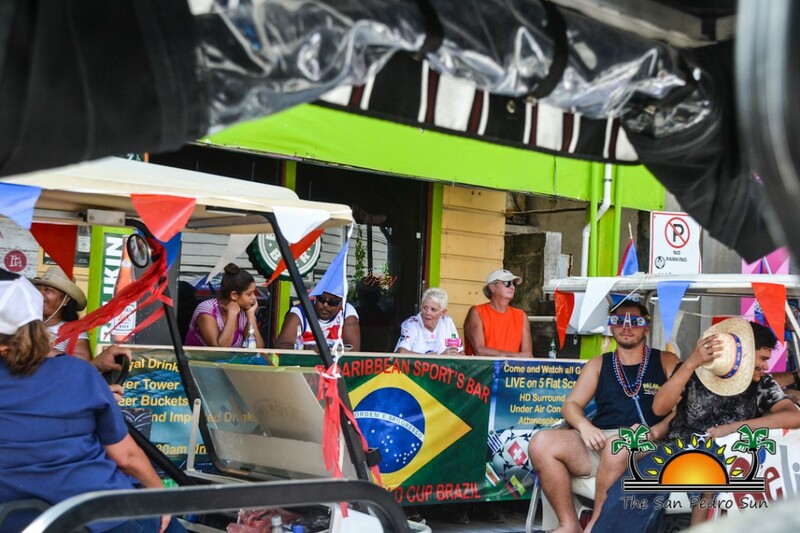 Residents lined up along the parade route from early to ensure a prime viewing spot. 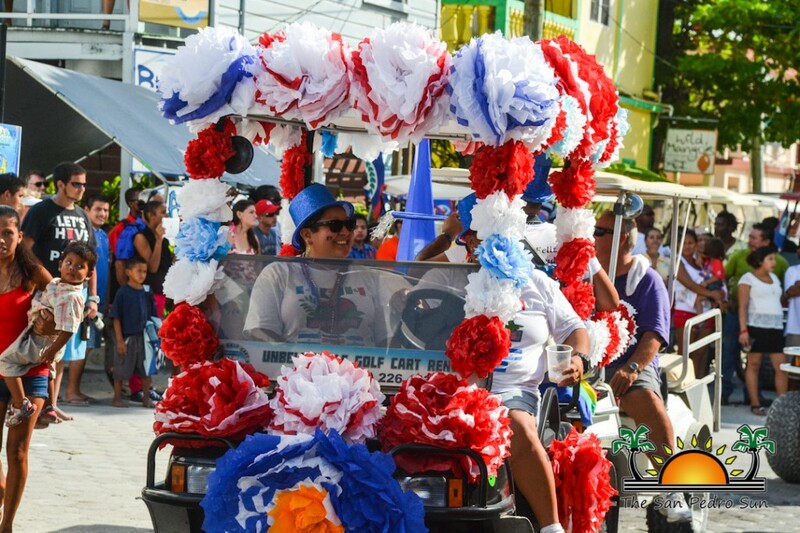 The San Pedro Fire Department led the parade, followed by the San Pedro Youth Cadet Corp. A beautifully decorated float carrying Miss San Pedro followed. 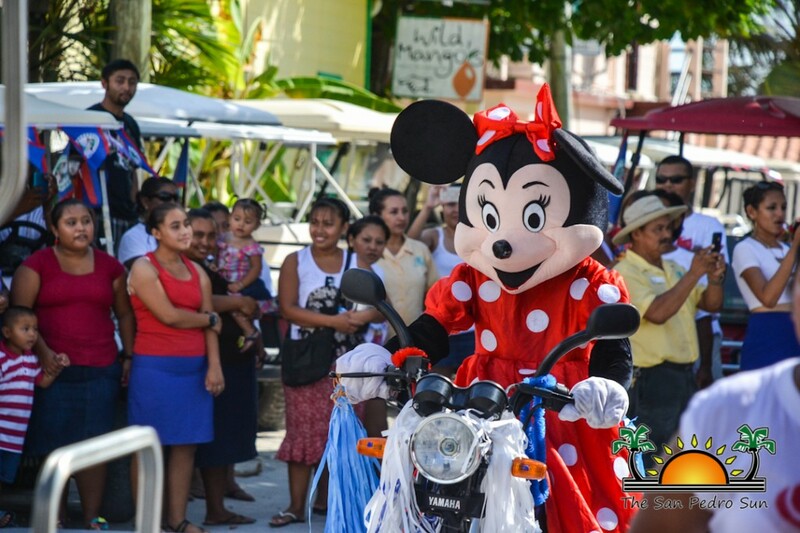 Michelle Nuñez gracefully waved at the crowd while giving treats to island children. 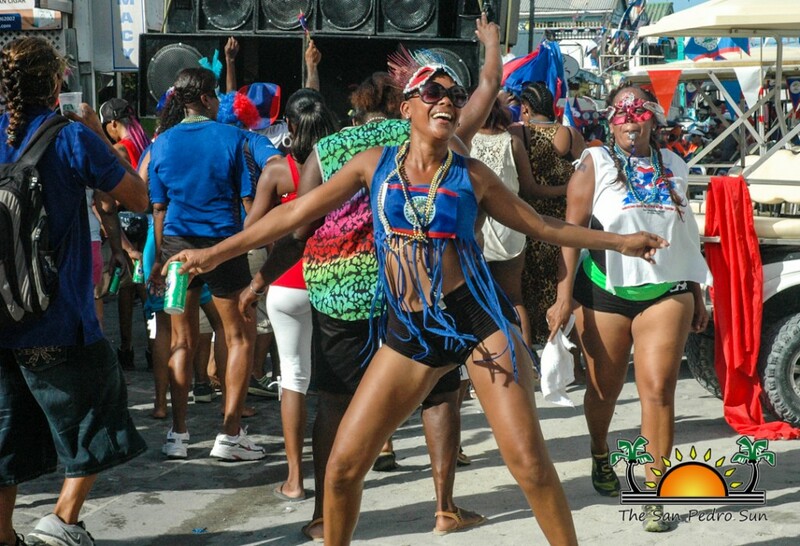 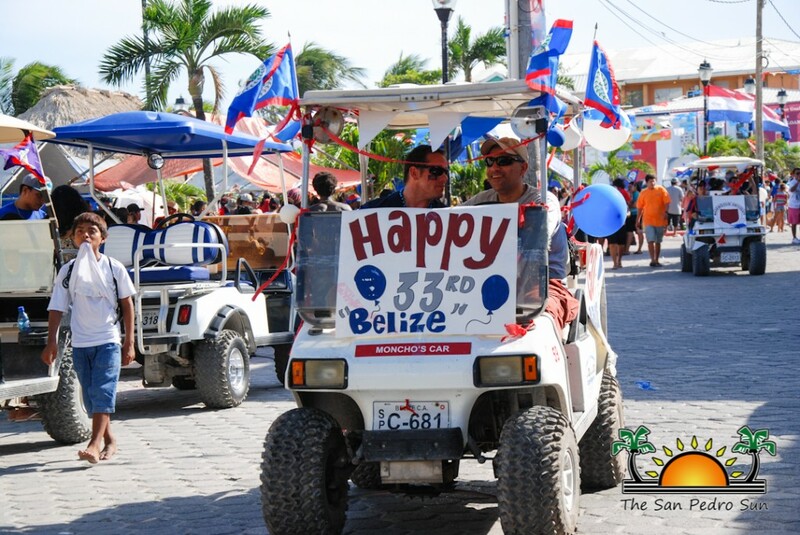 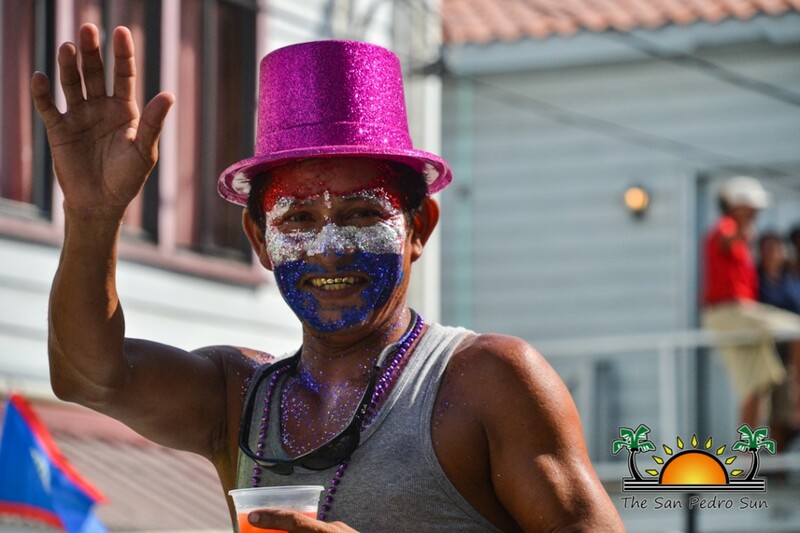 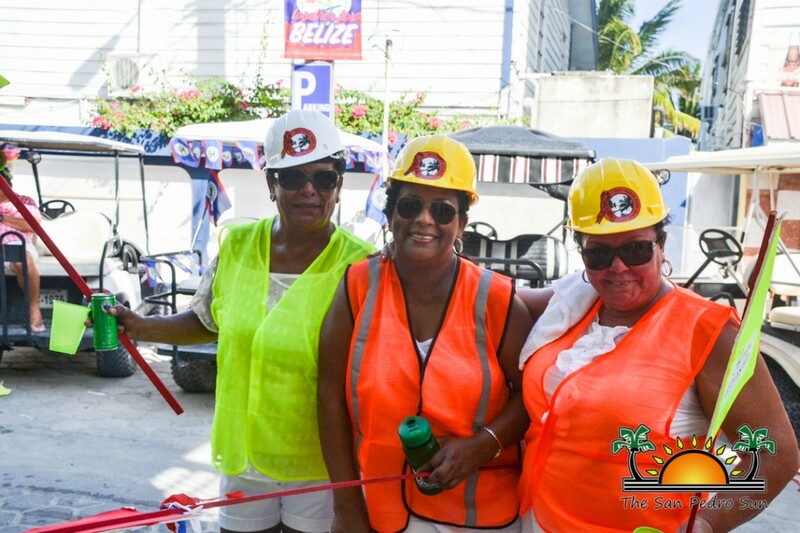 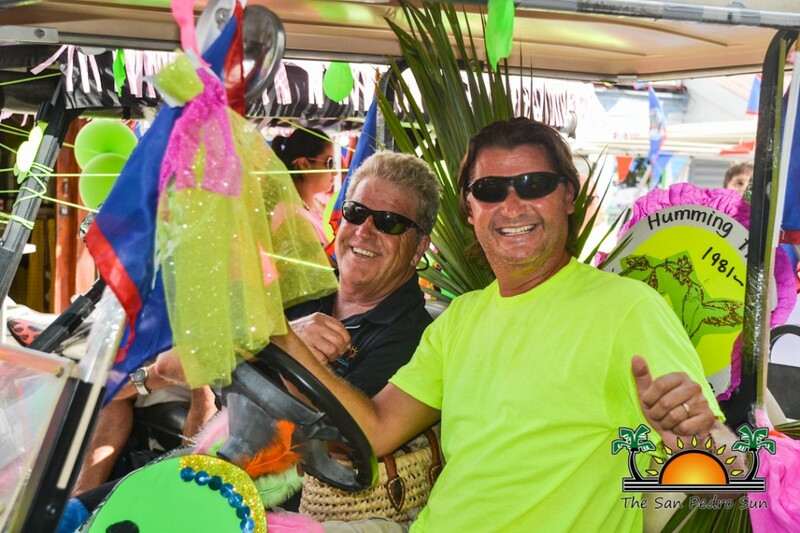 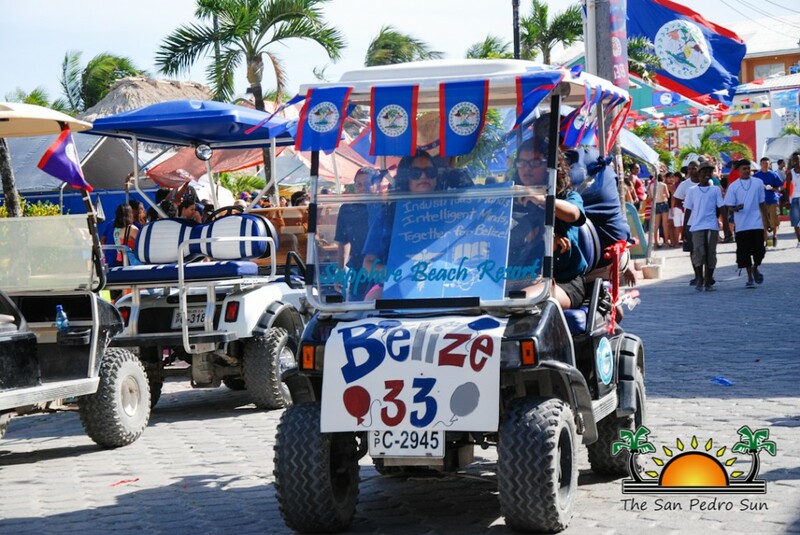 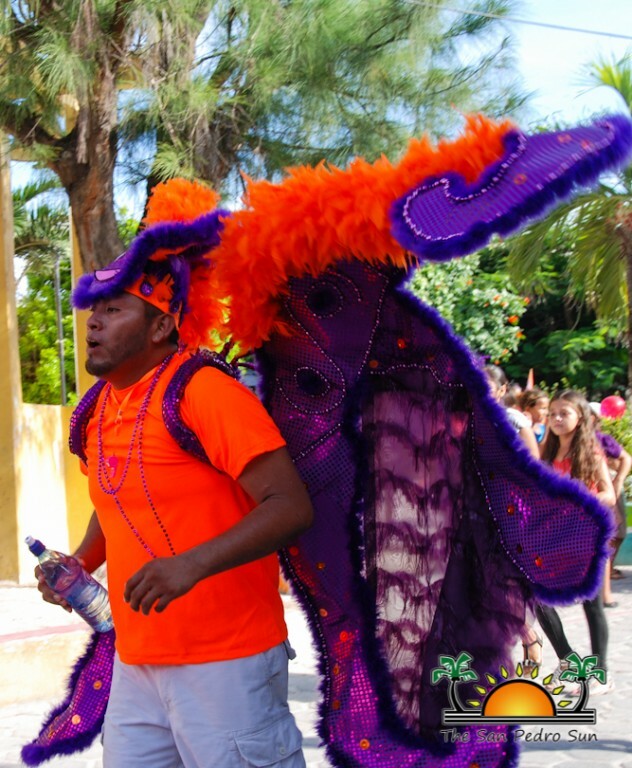 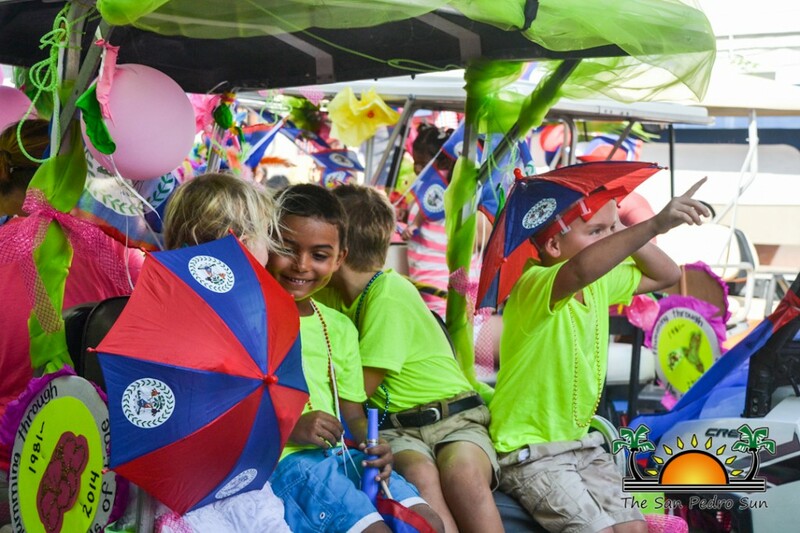 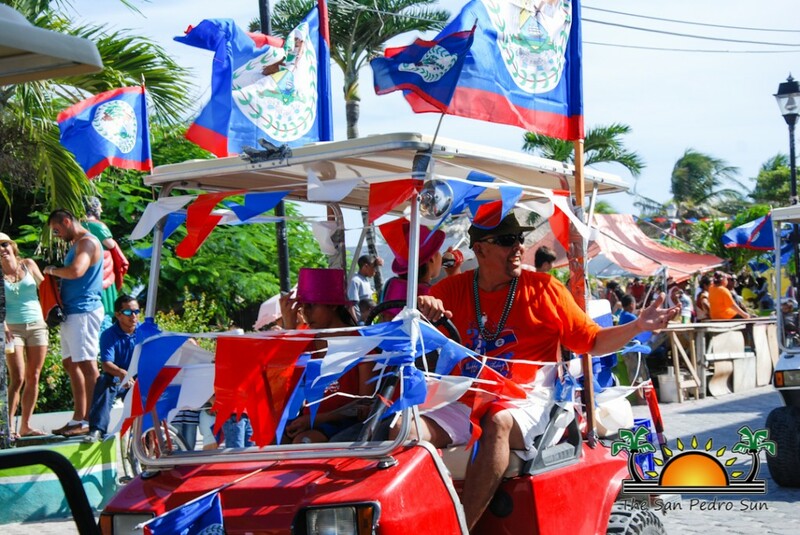 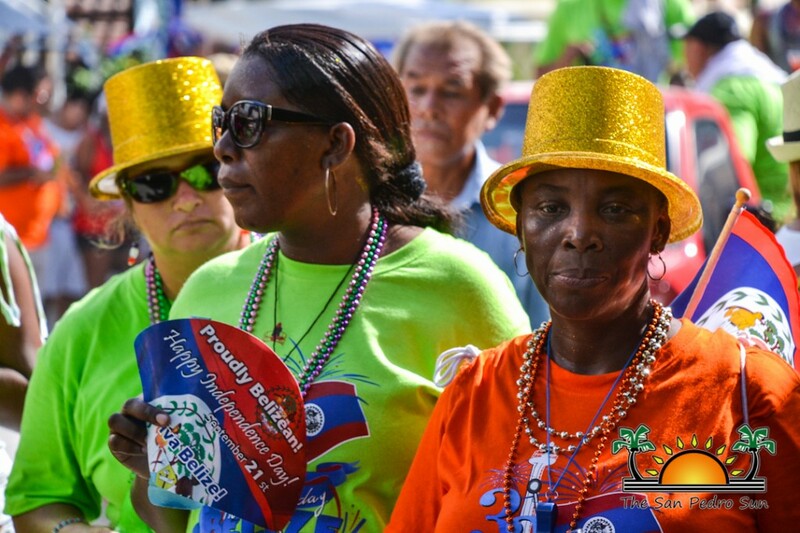 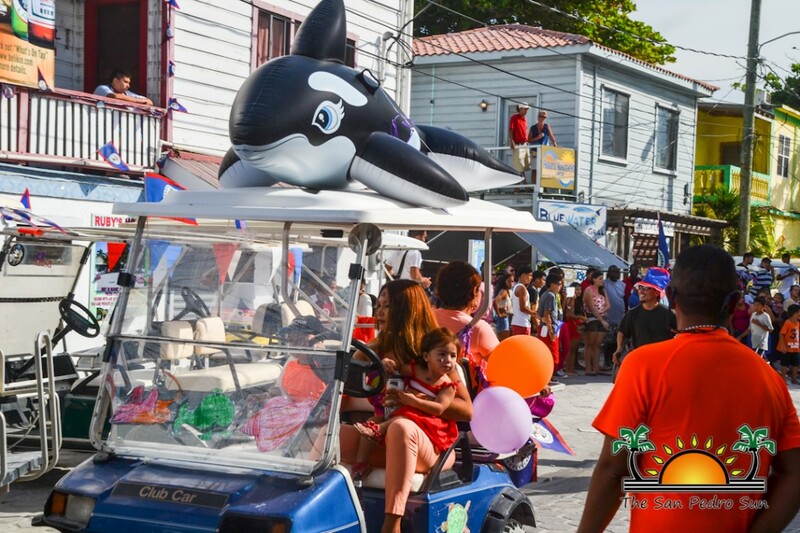 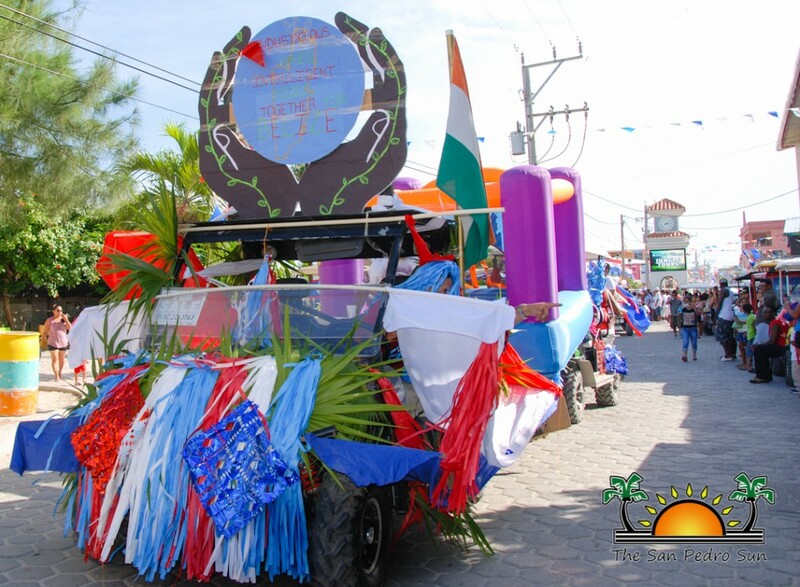 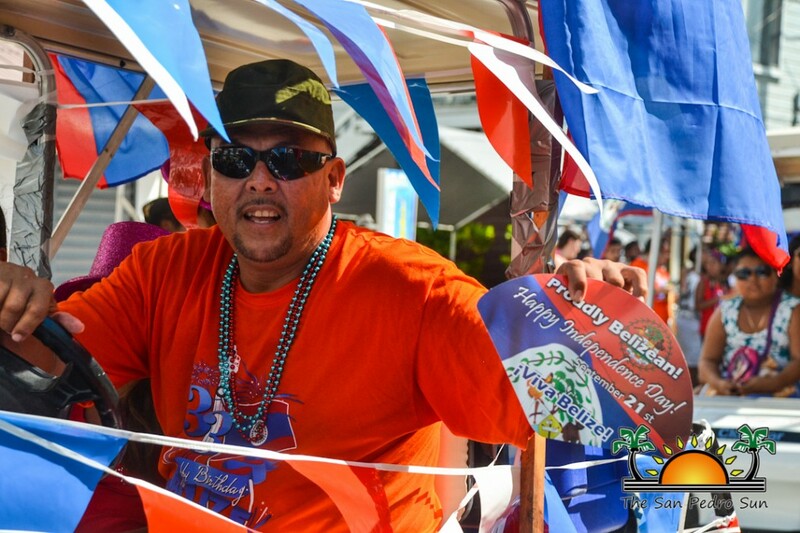 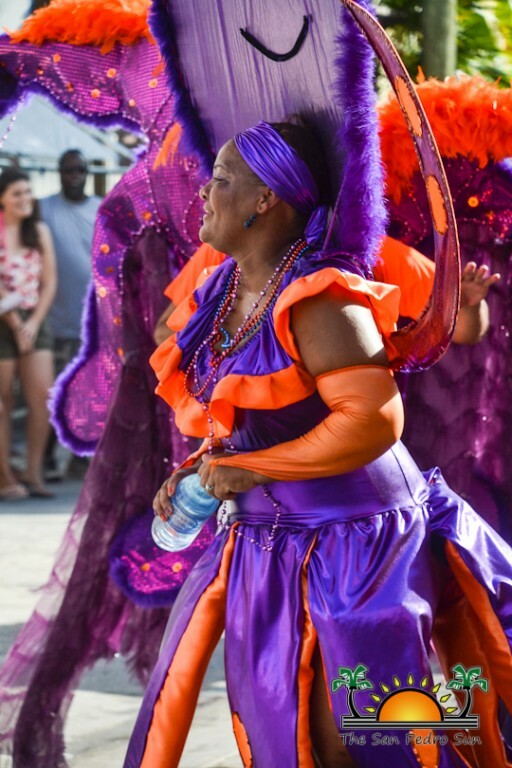 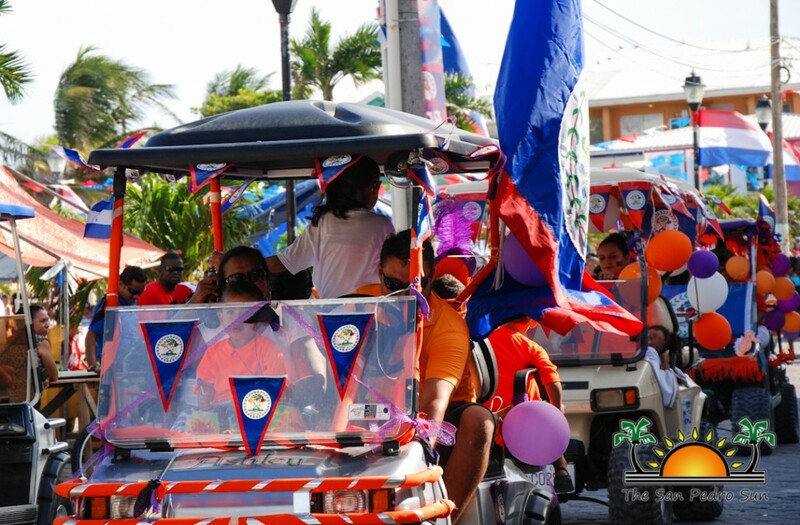 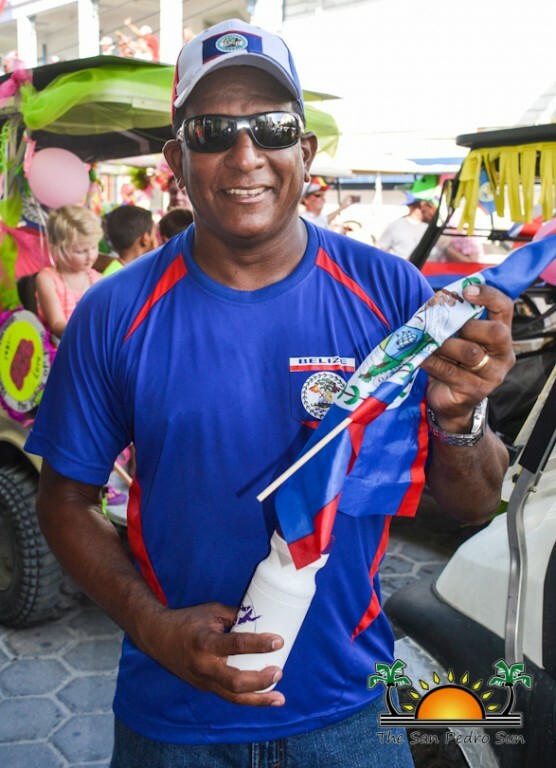 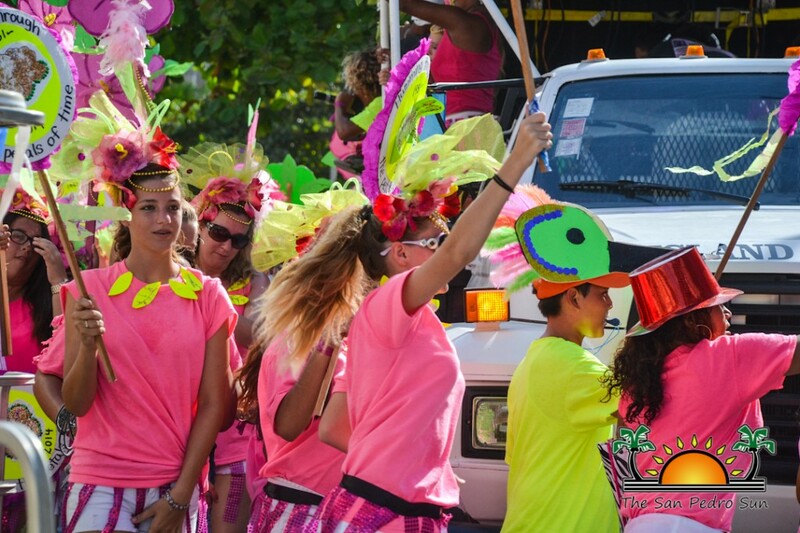 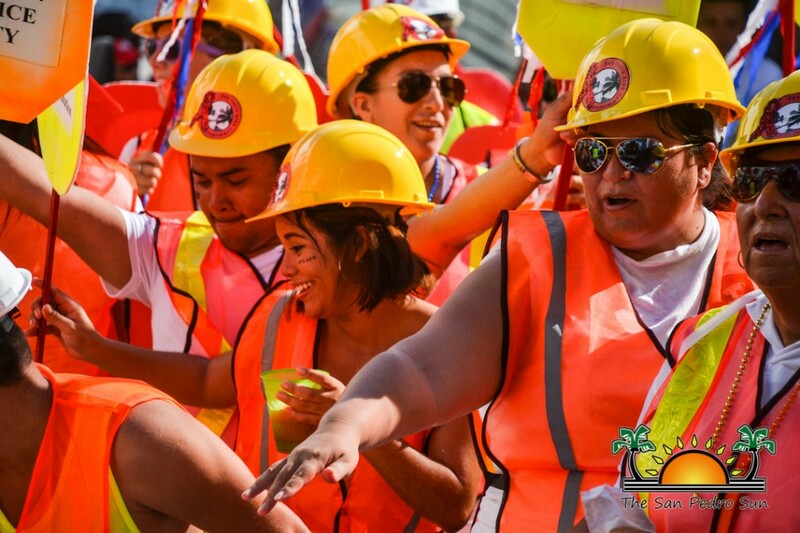 The parade continued with patriotically decorated golf carts and several floats with speakers pumping soca and jump up music to energetic revelers. 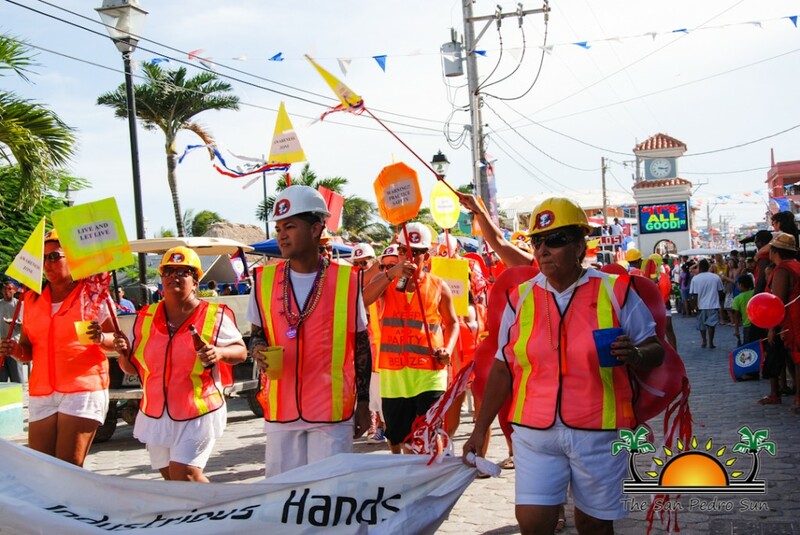 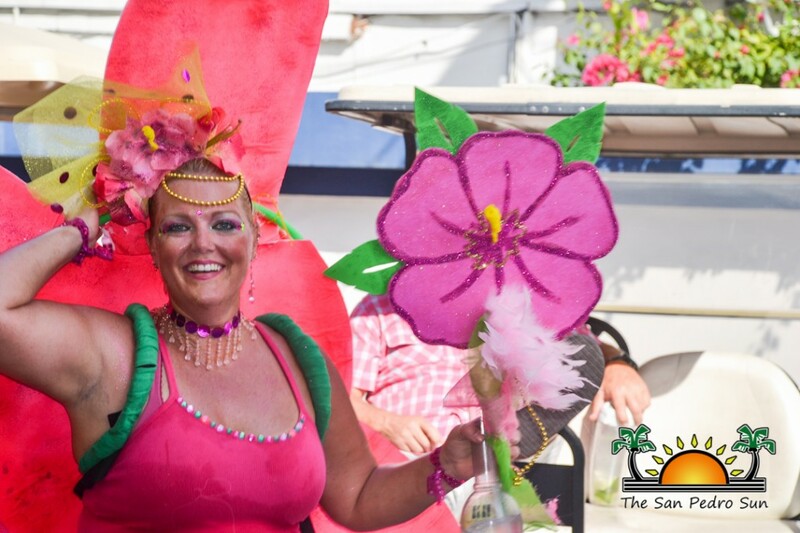 As the parade made its way, several judges had the arduous task of deciding this year’s parade winners. 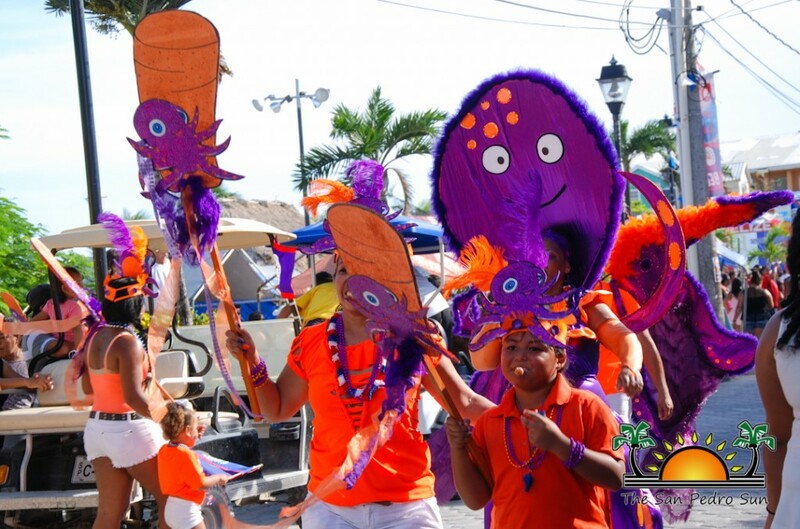 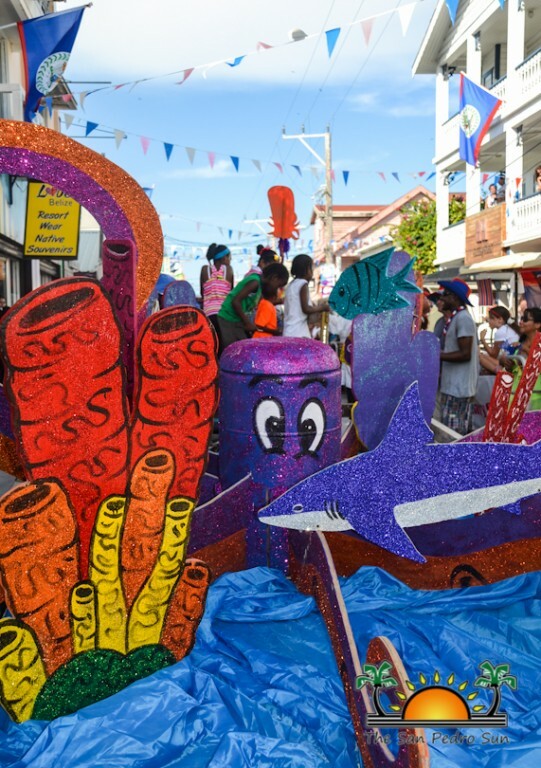 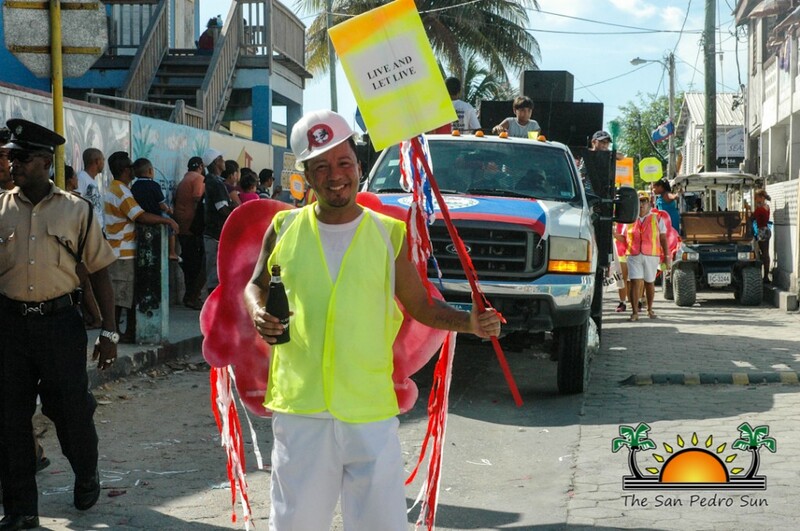 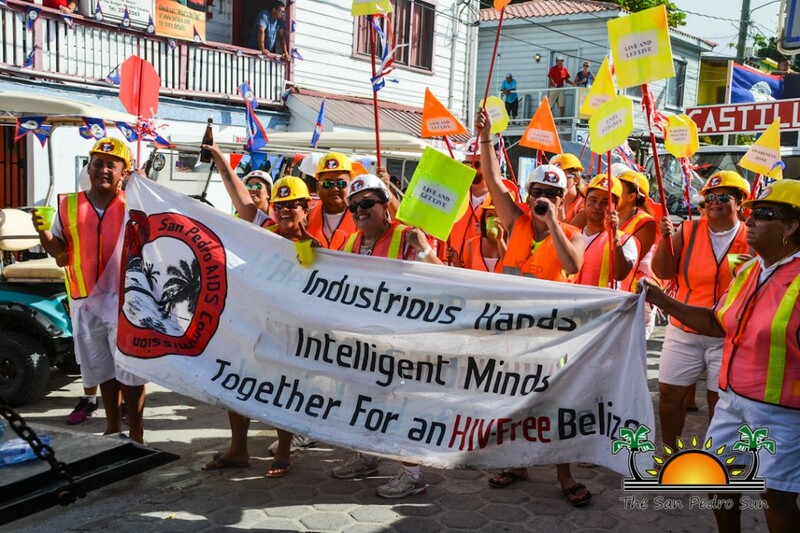 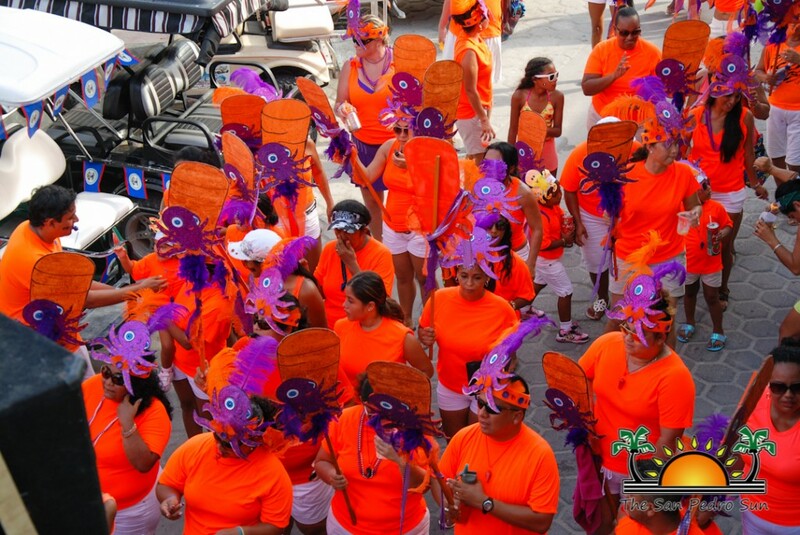 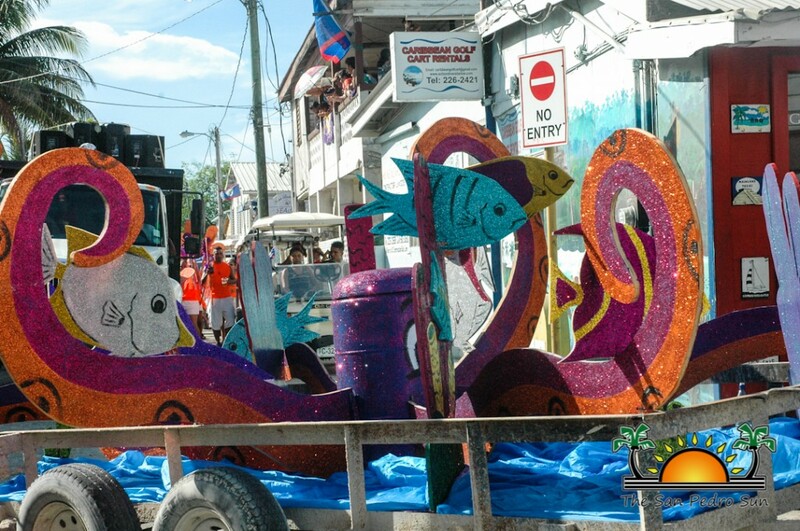 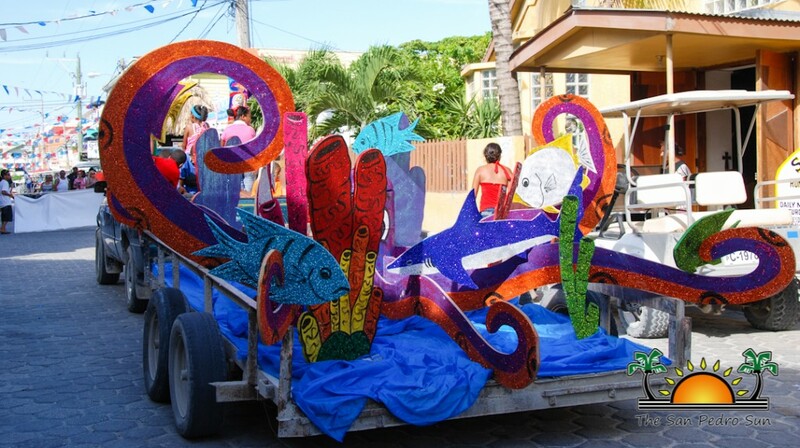 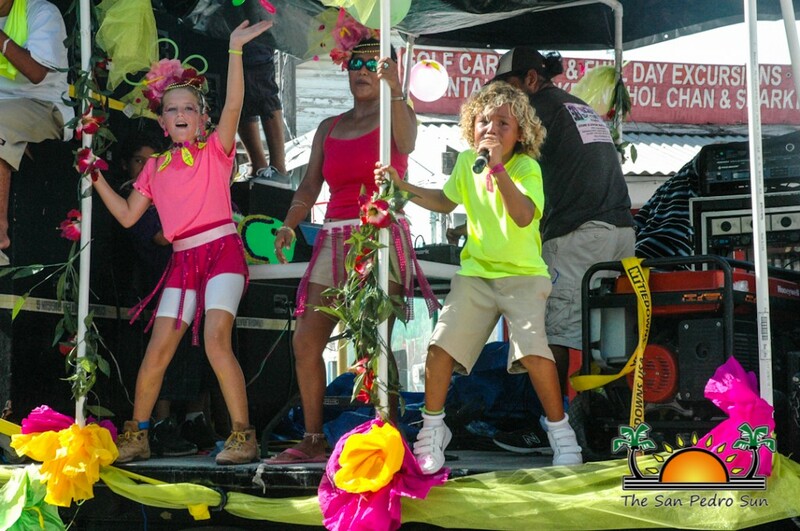 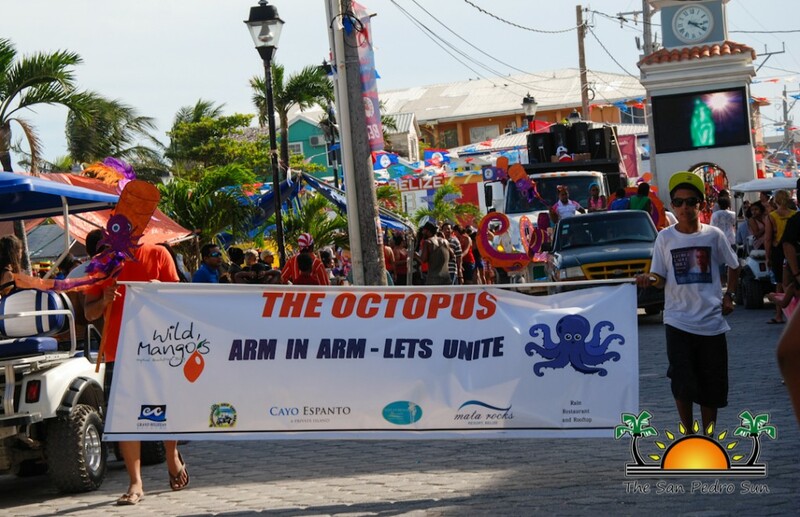 In the end the Best Float prize went once again to Wil Alamilla who presented the “Octopus- Arm in arm, let’s unite”. 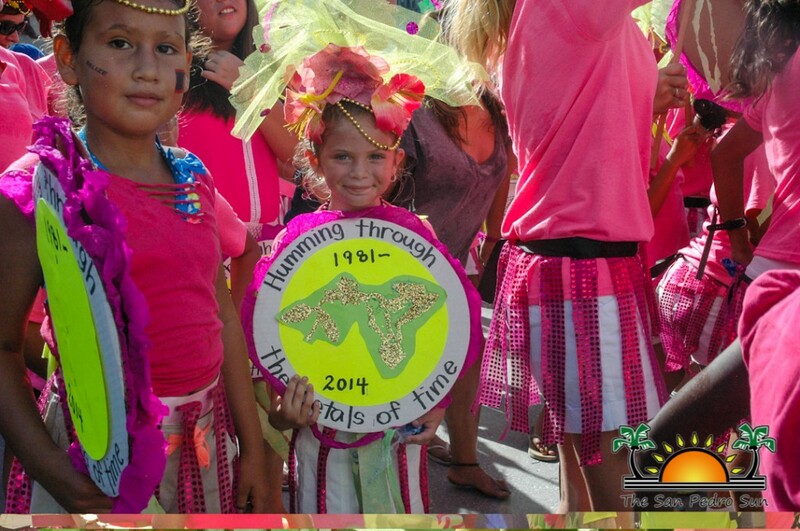 In the school category, Wil Alamilla also took first place, while second place went to The Island Academy who presented “Humming through the petals of time”. 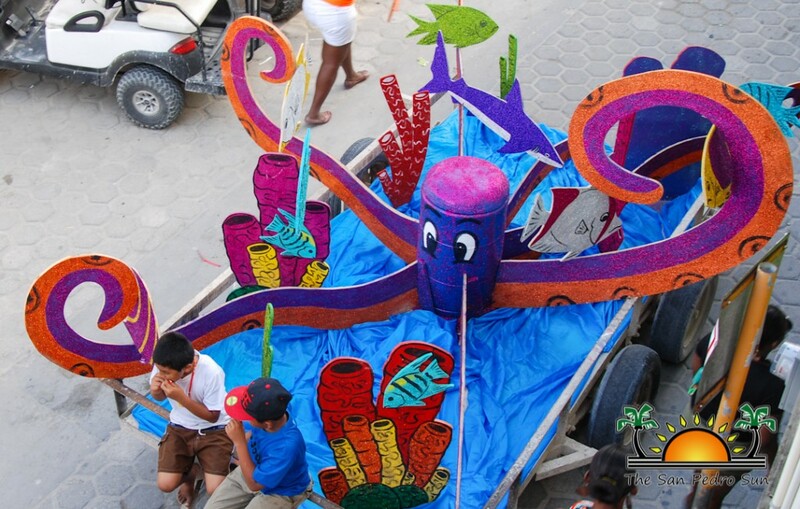 In the adult category, first place went to the San Pedro AIDS Commission. 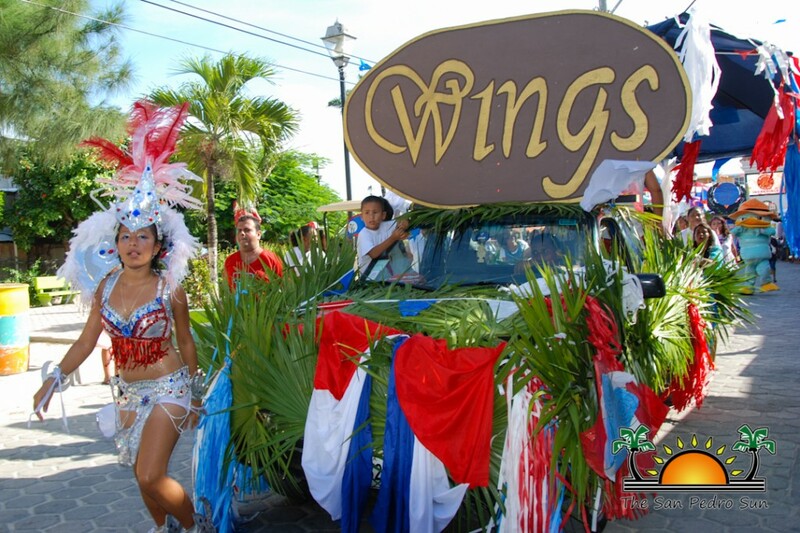 Ruan Nuñez took second place, while third place went to Wings. 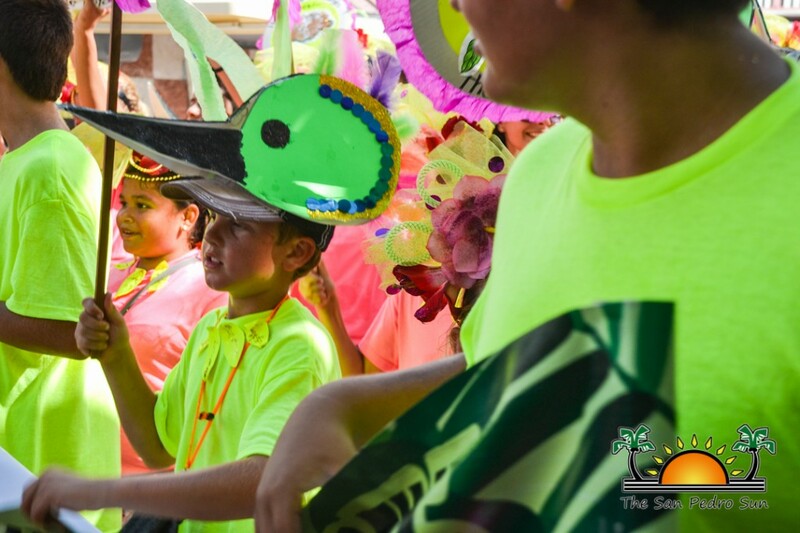 Winners can collect their prizes on Friday, September 26th at the San Pedro Town Council.